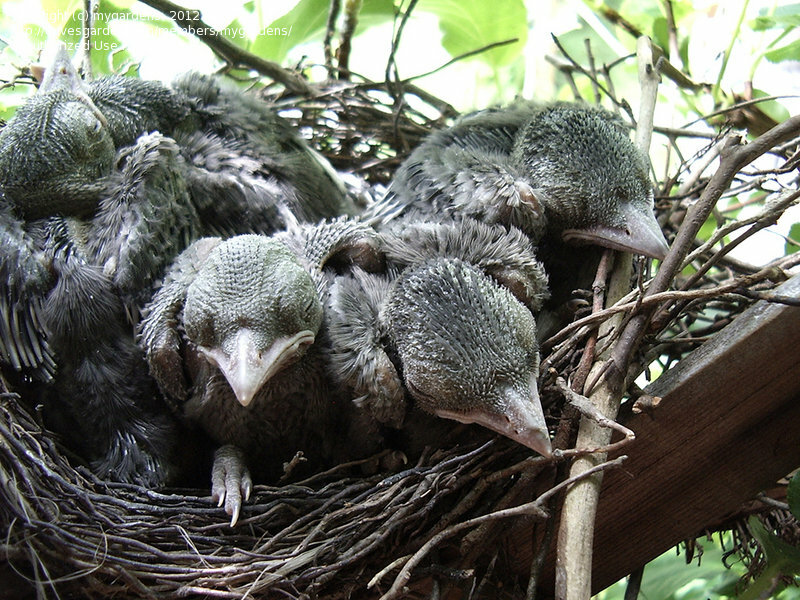 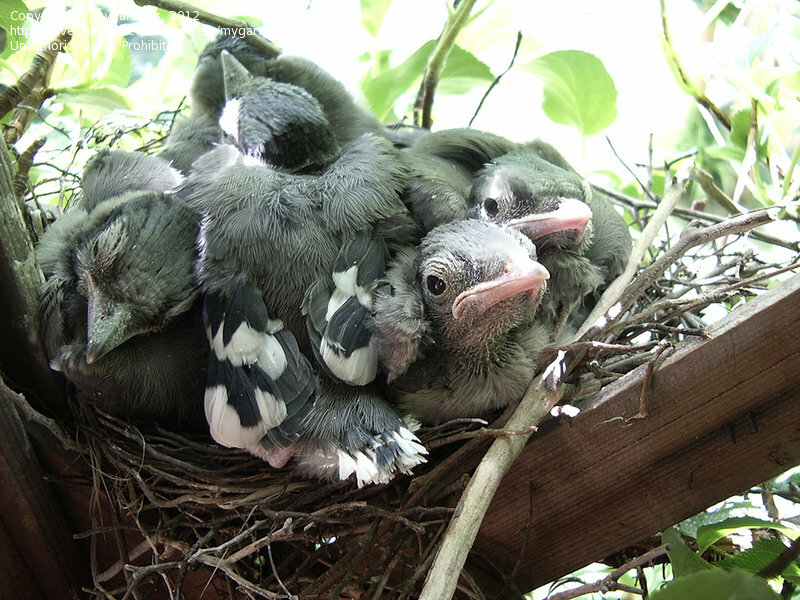 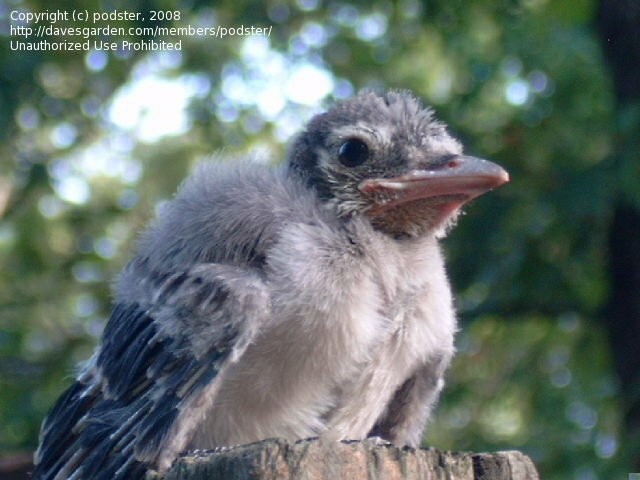 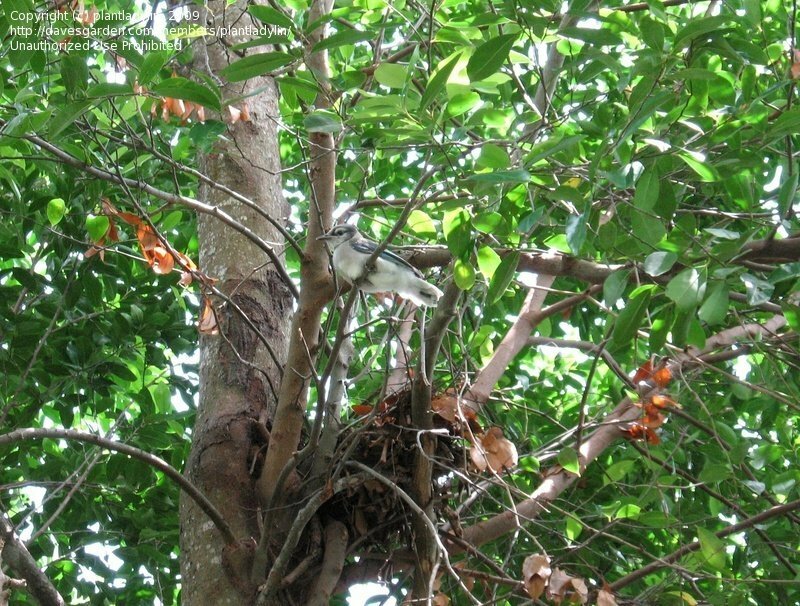 Baby out of the nest too soon..but ok. Parent coaxed it into a shrub where she fed it. 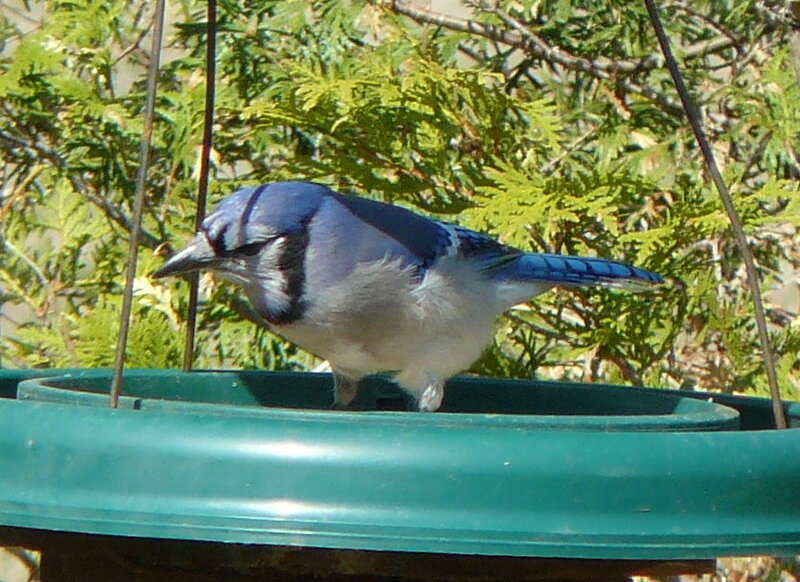 My morning visitor stops by for peanuts. 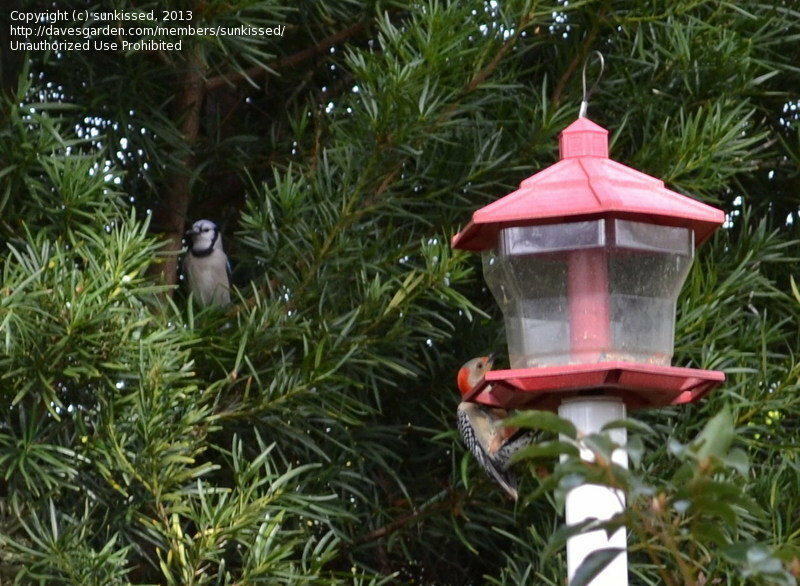 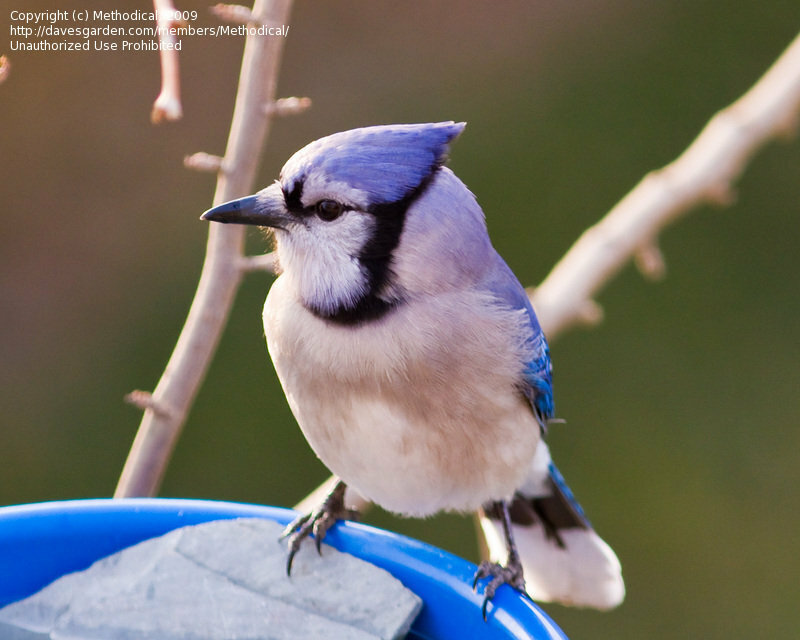 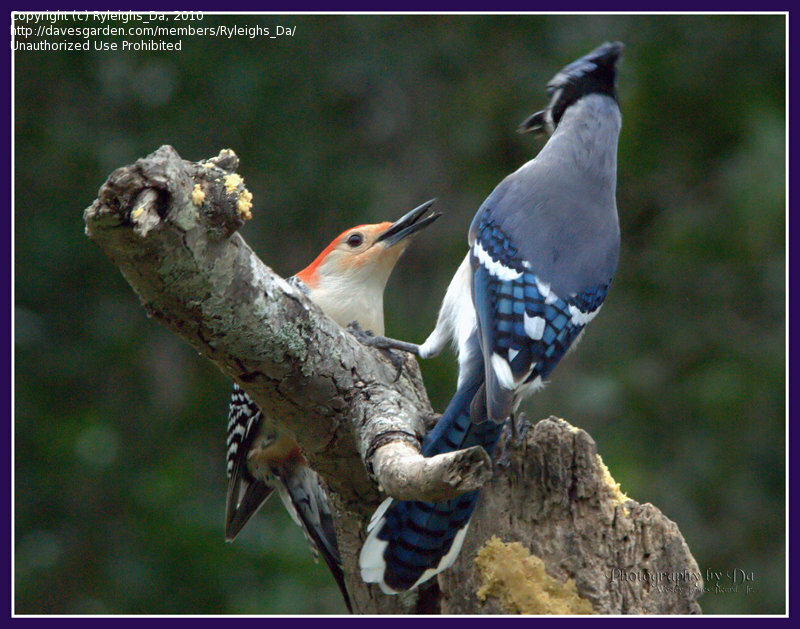 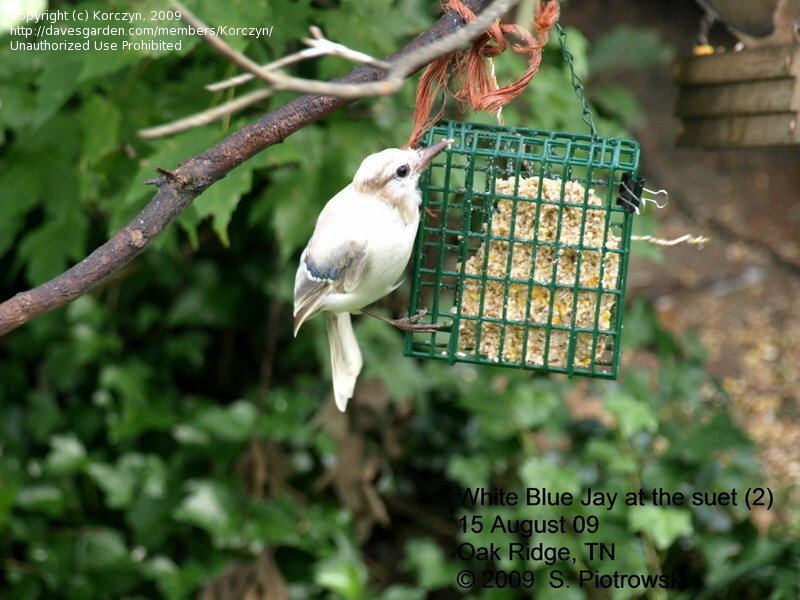 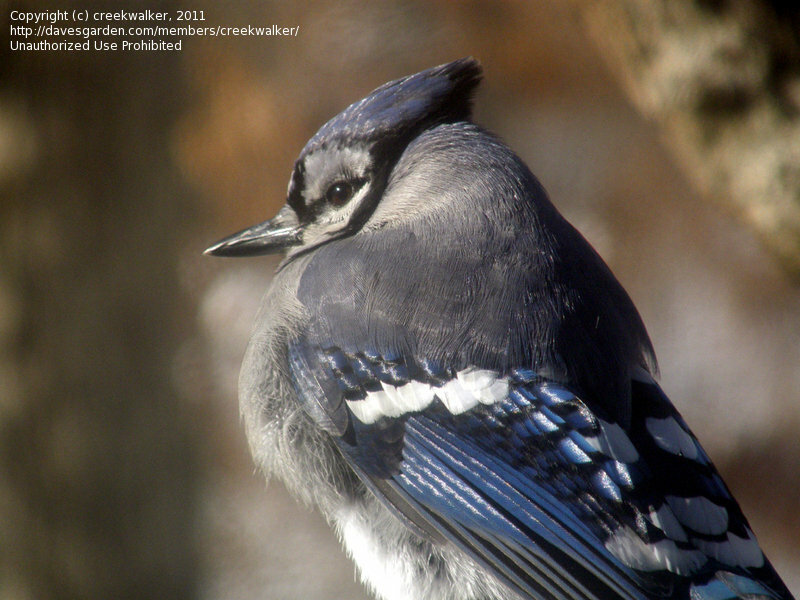 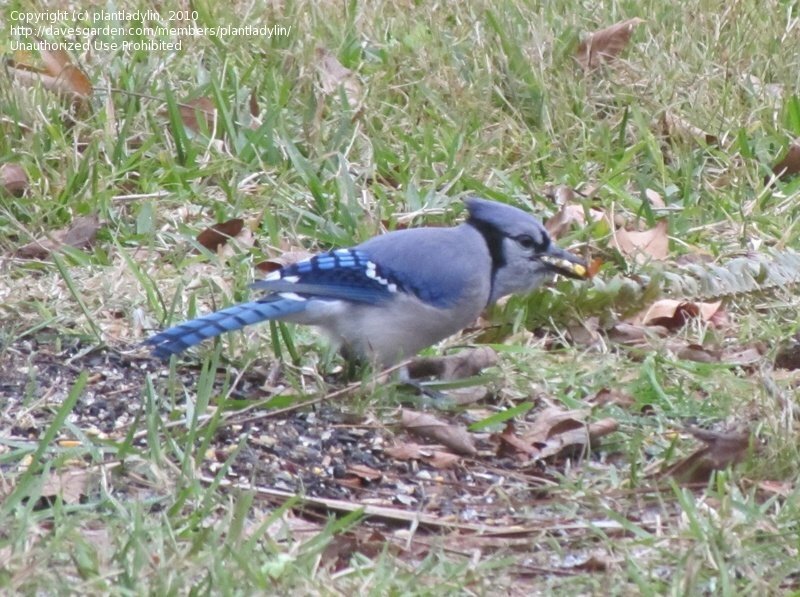 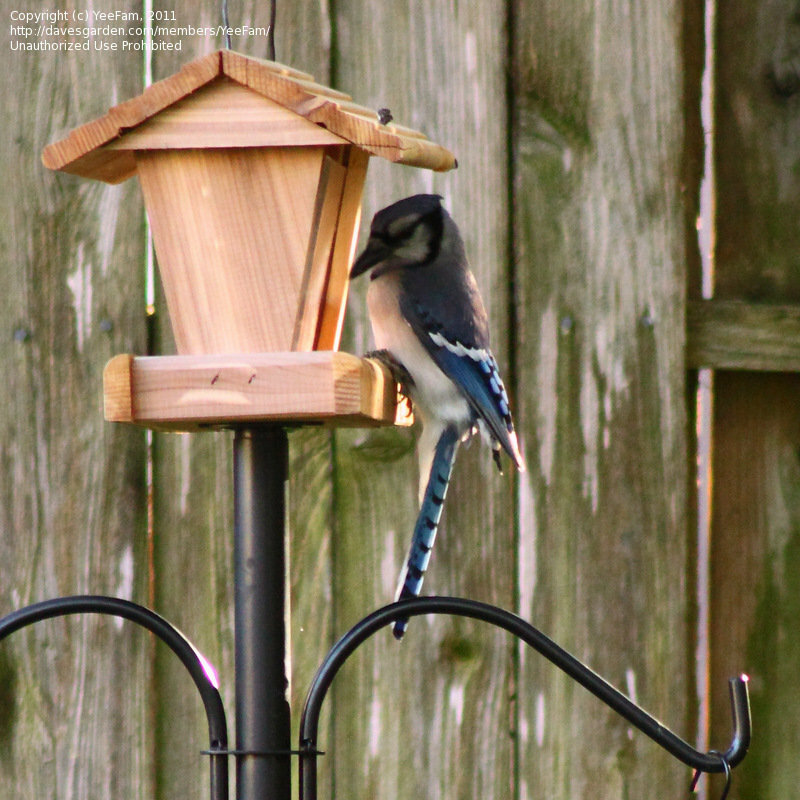 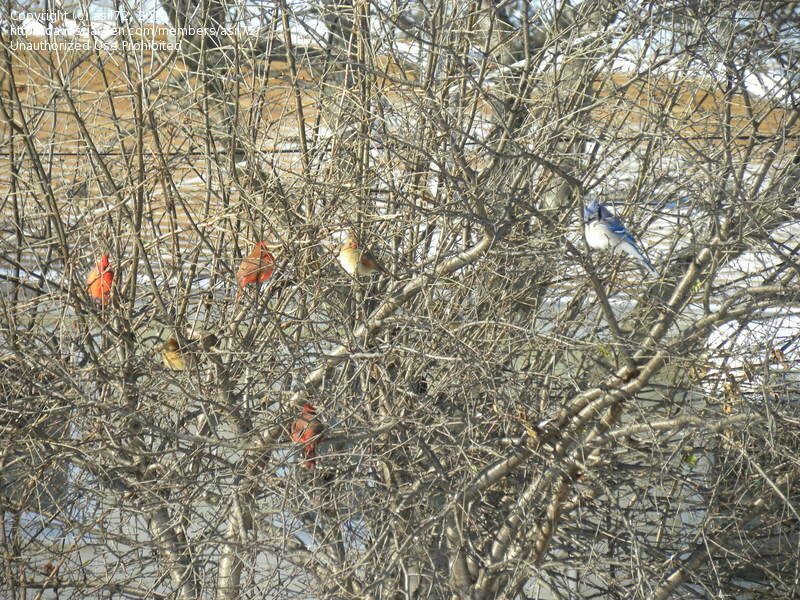 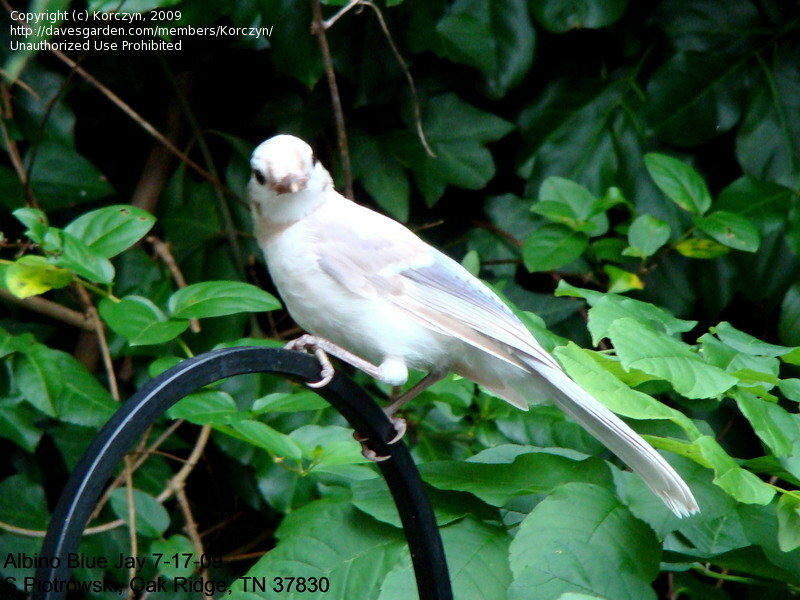 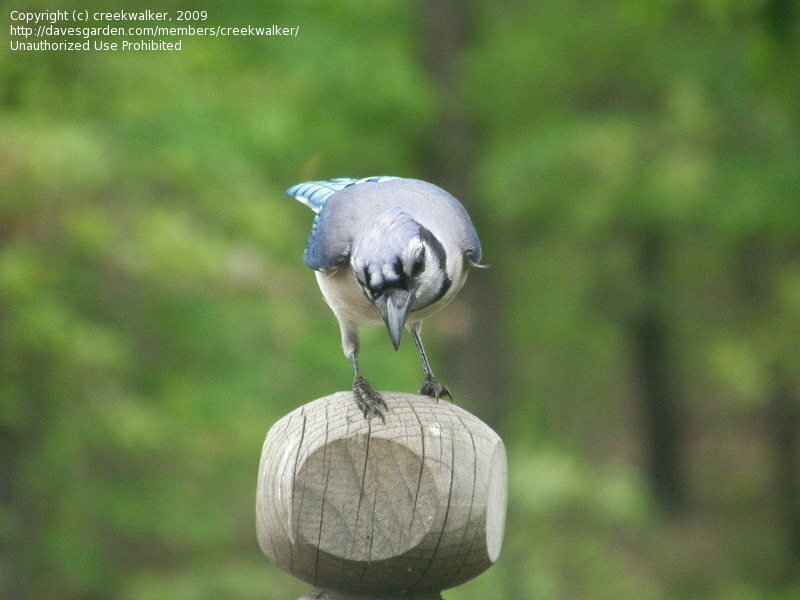 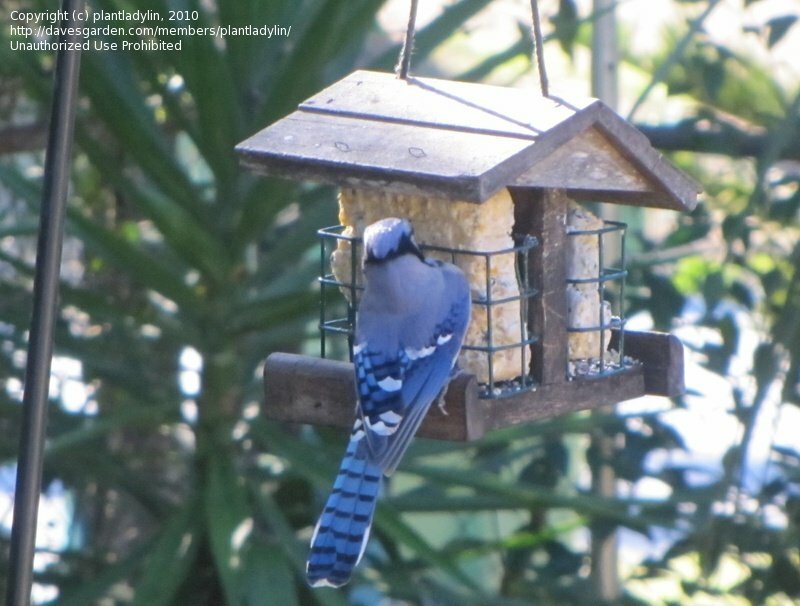 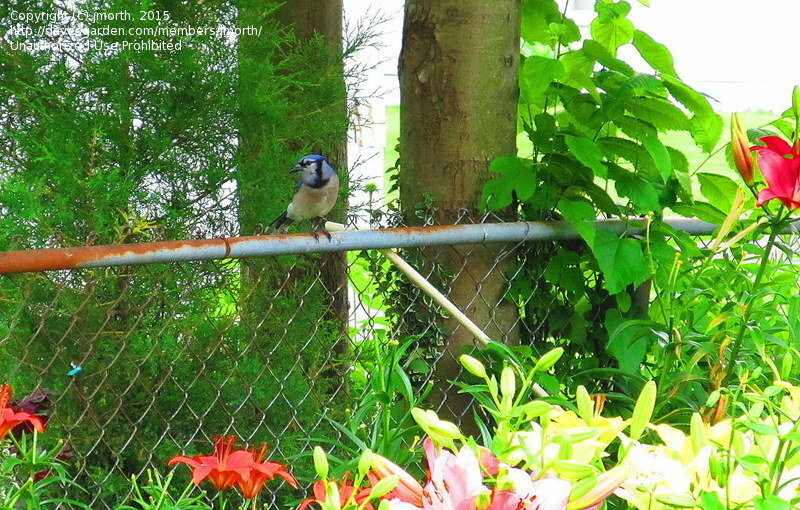 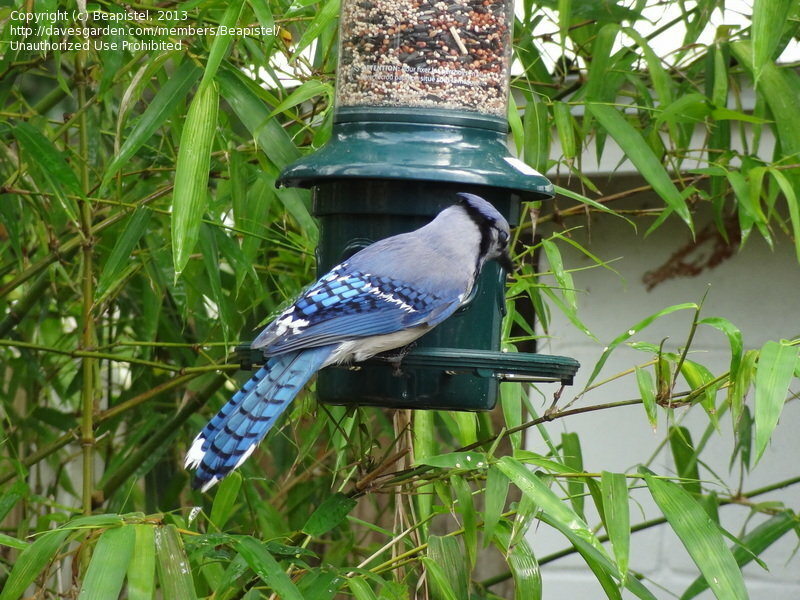 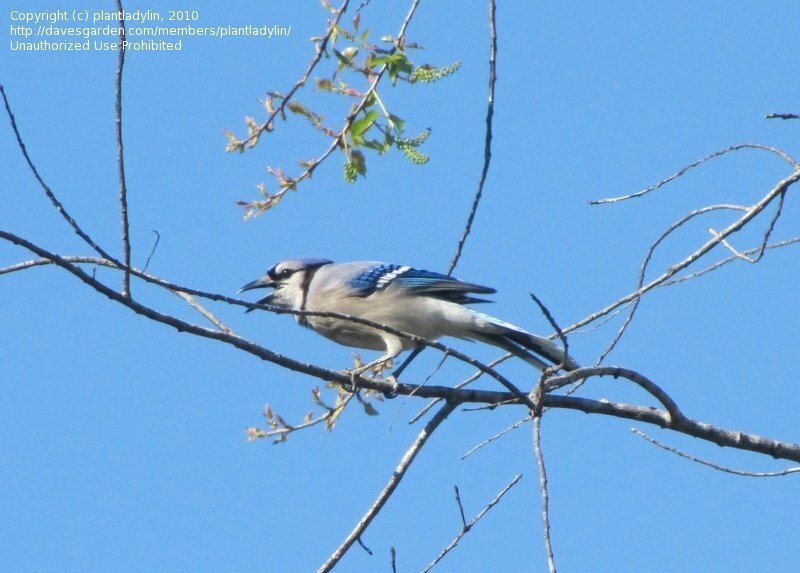 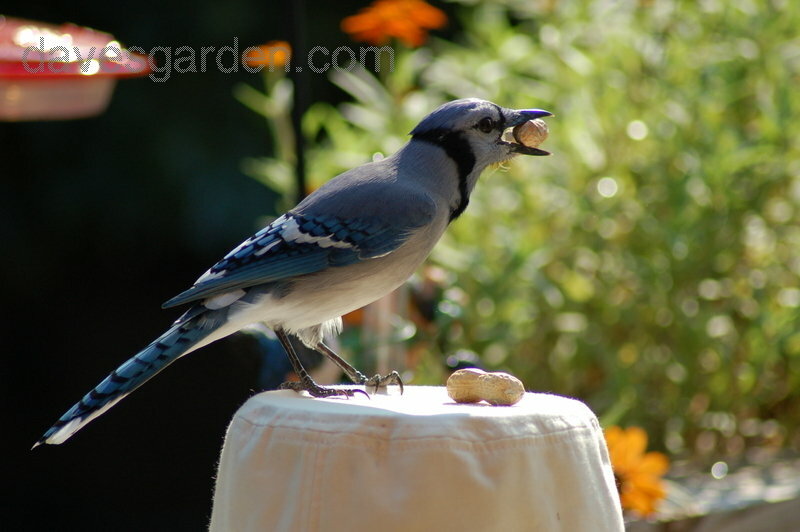 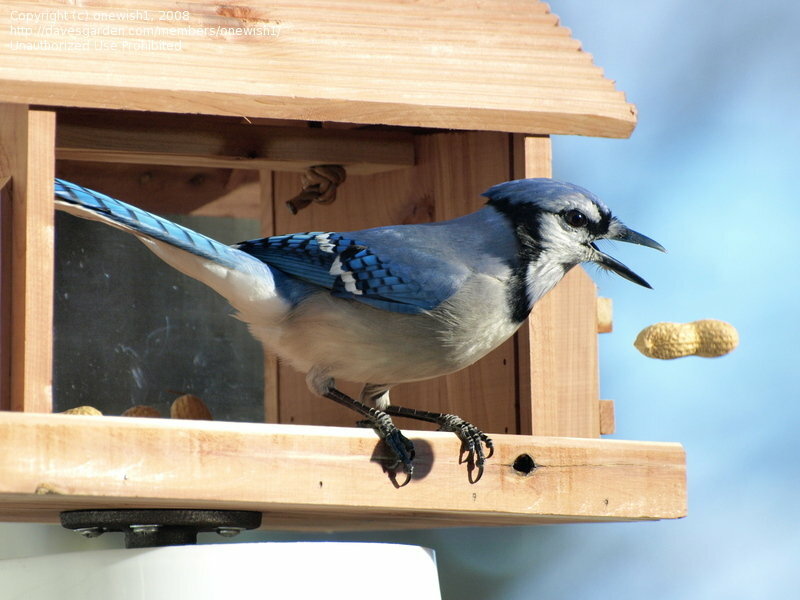 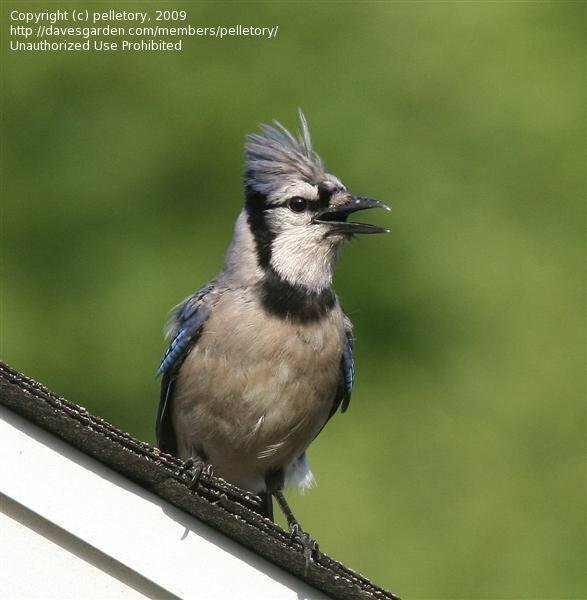 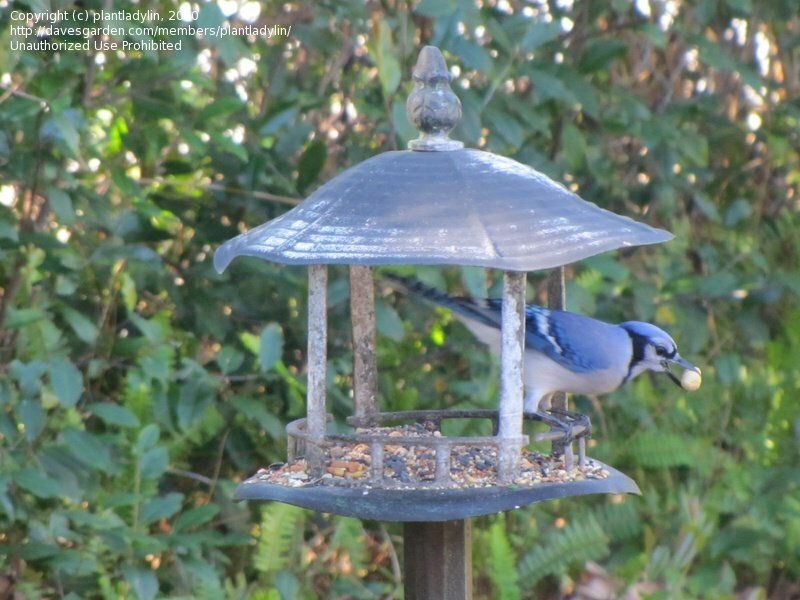 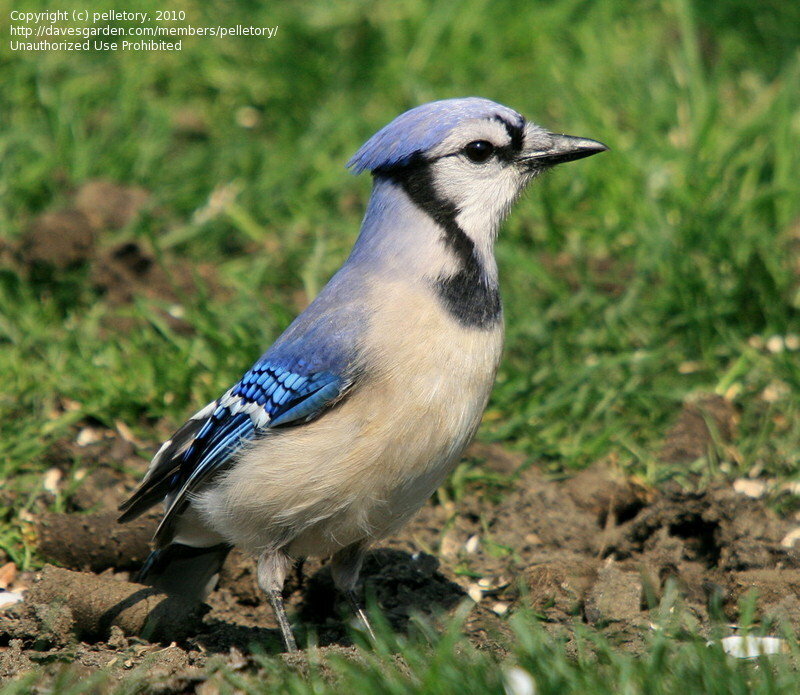 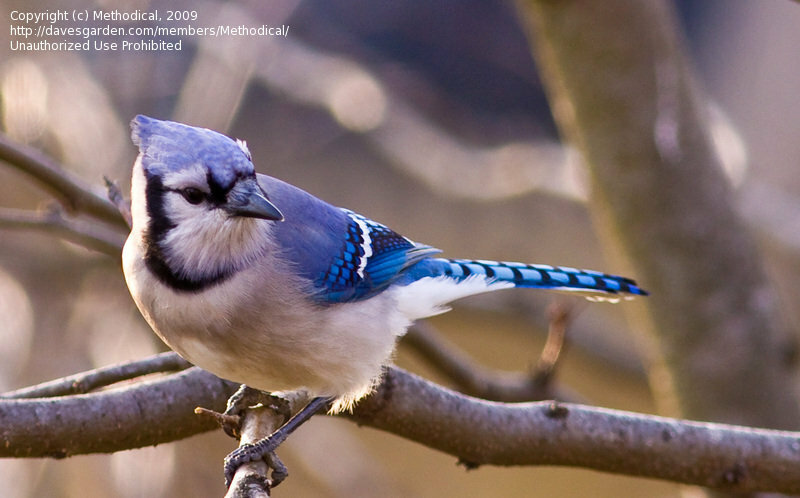 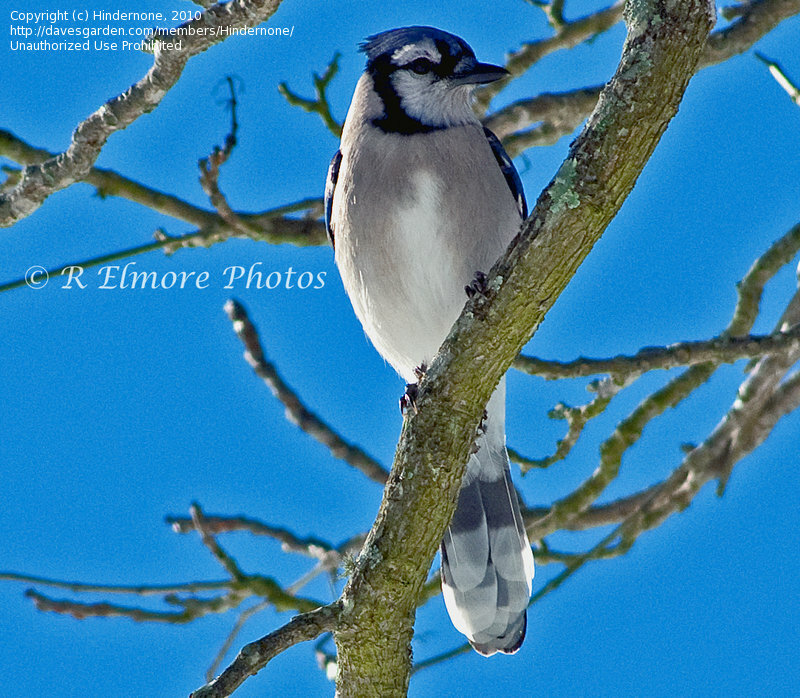 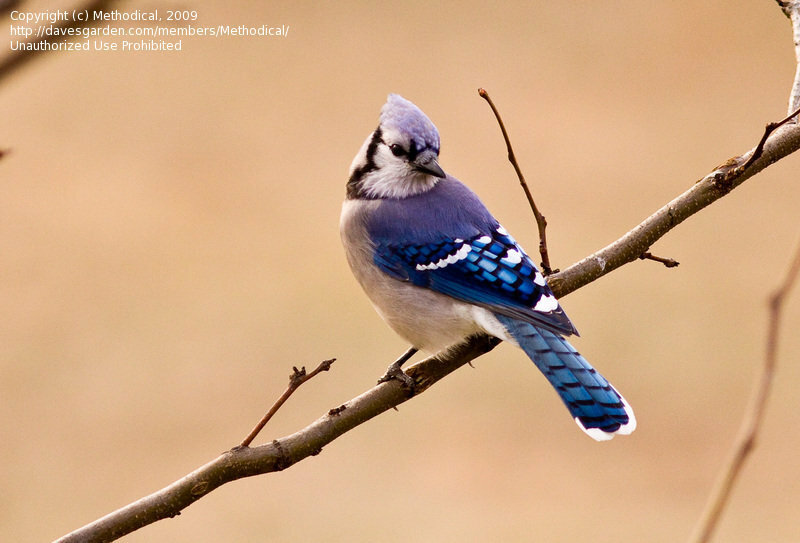 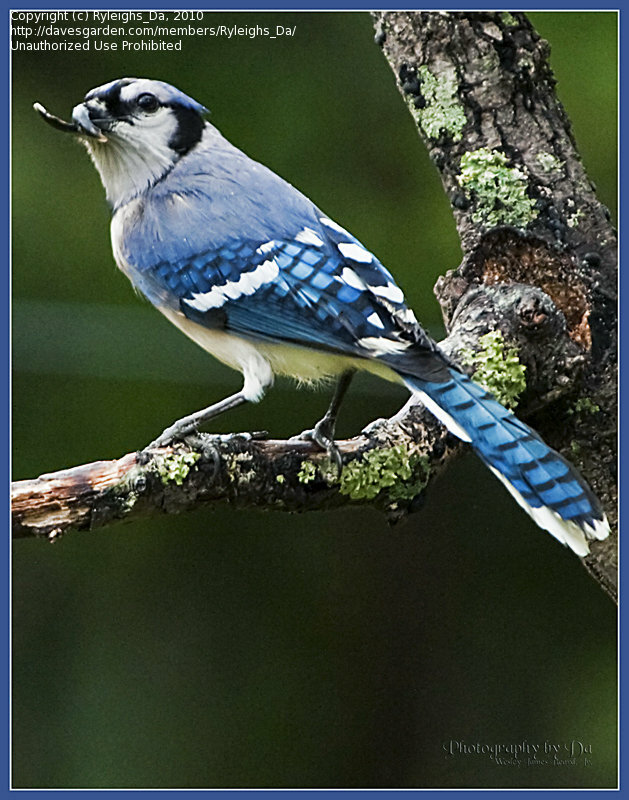 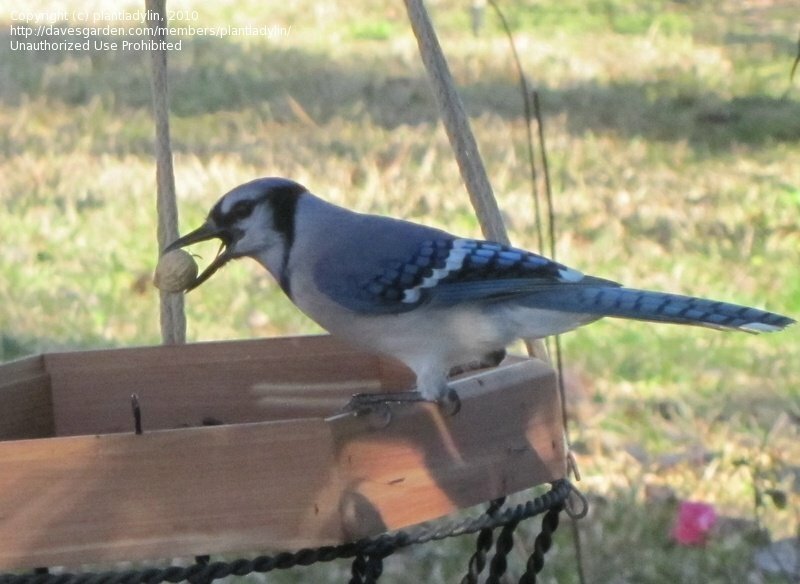 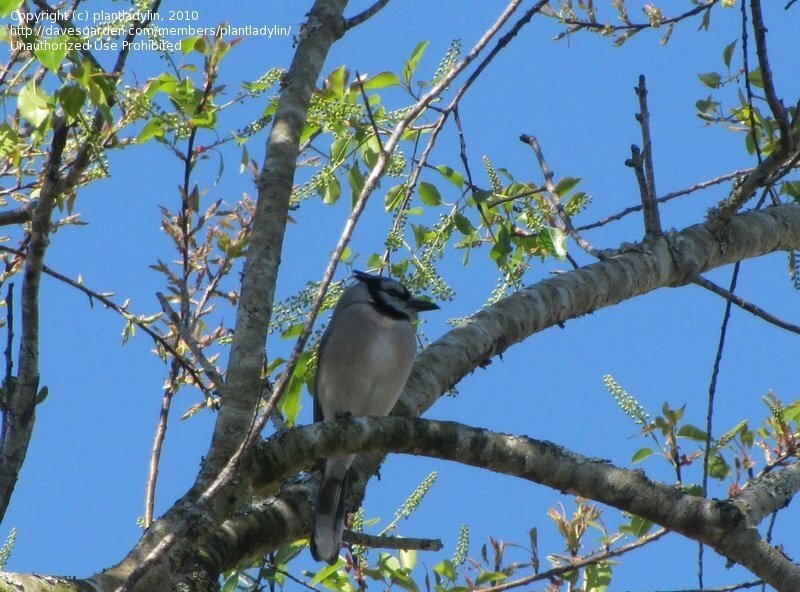 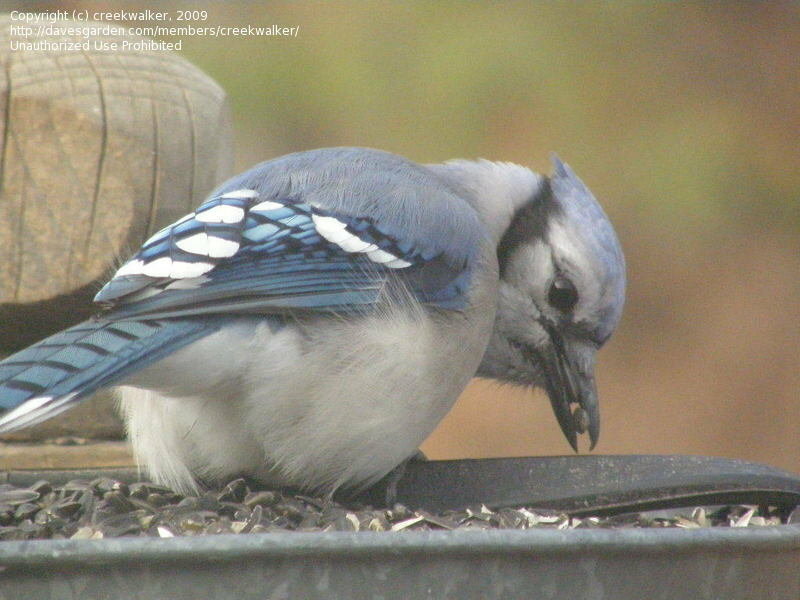 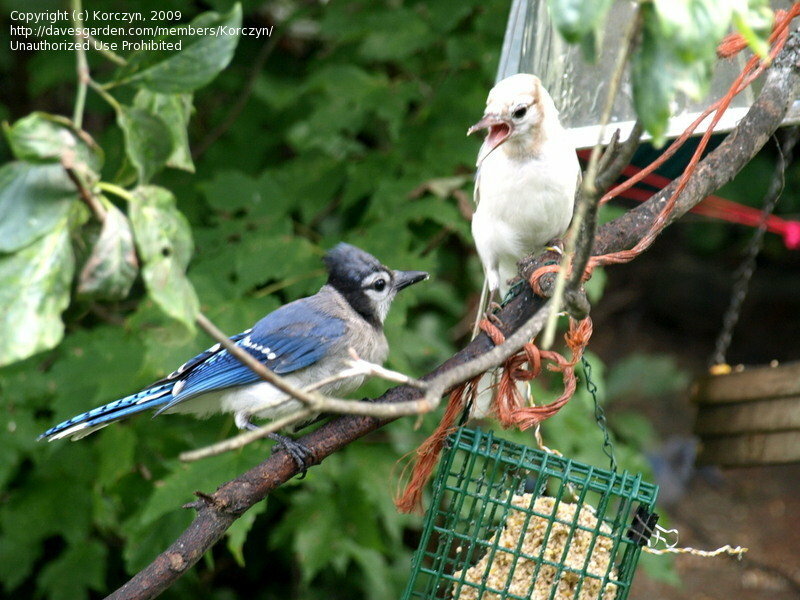 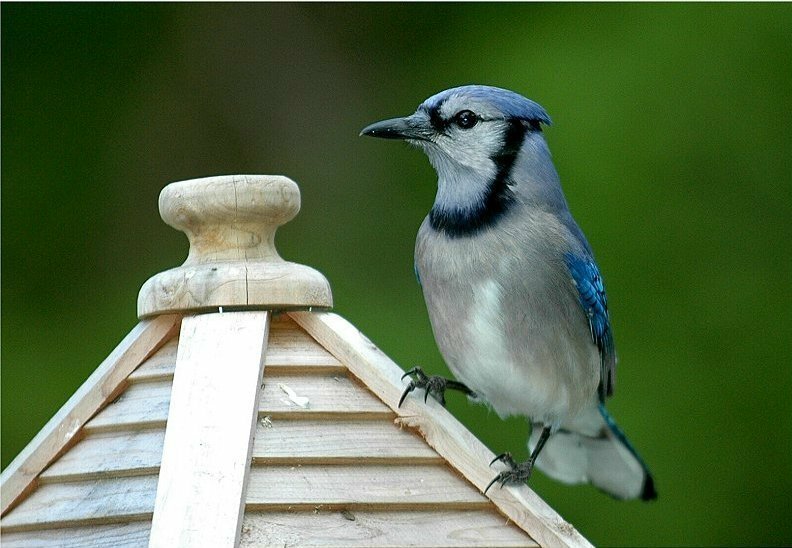 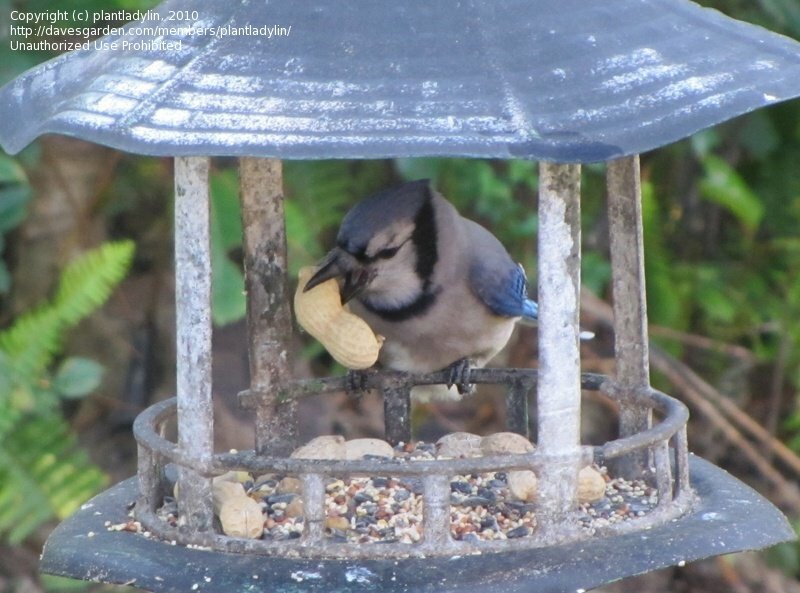 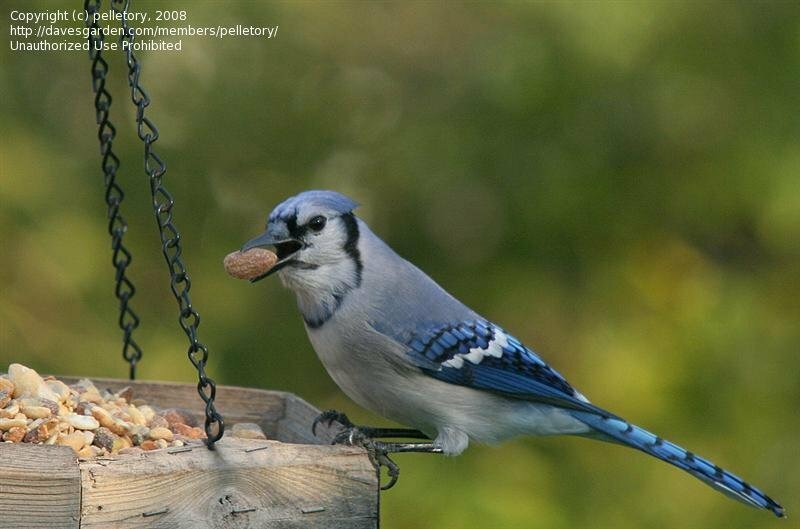 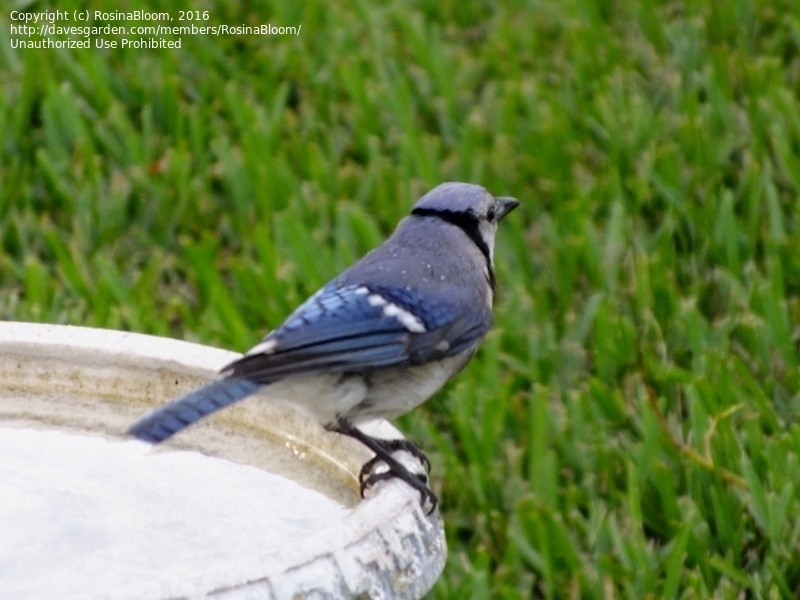 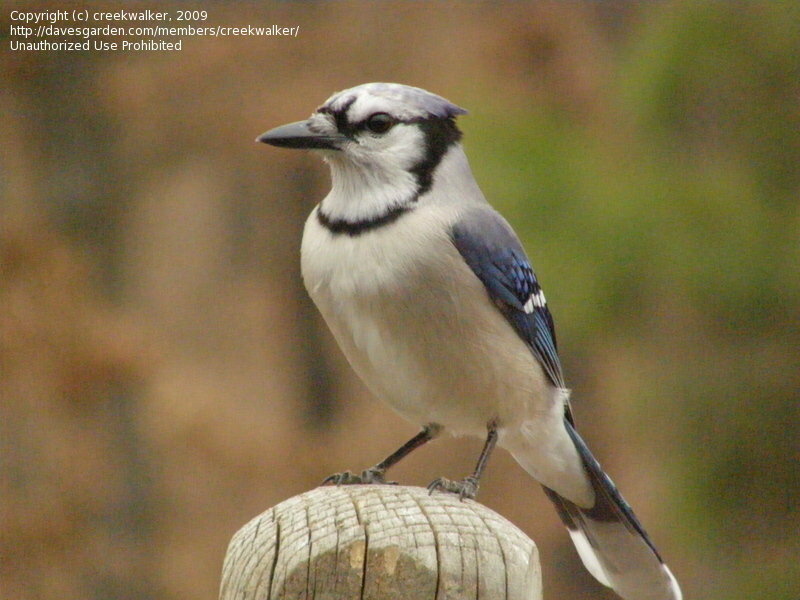 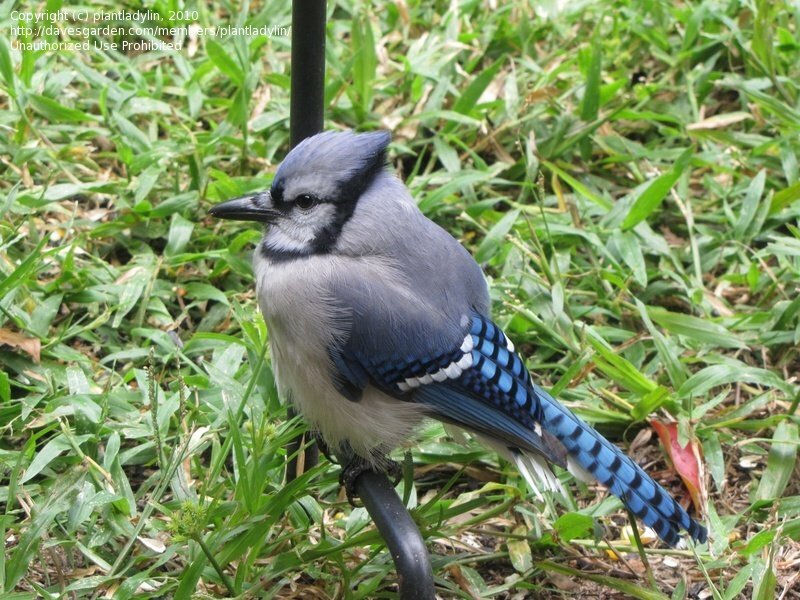 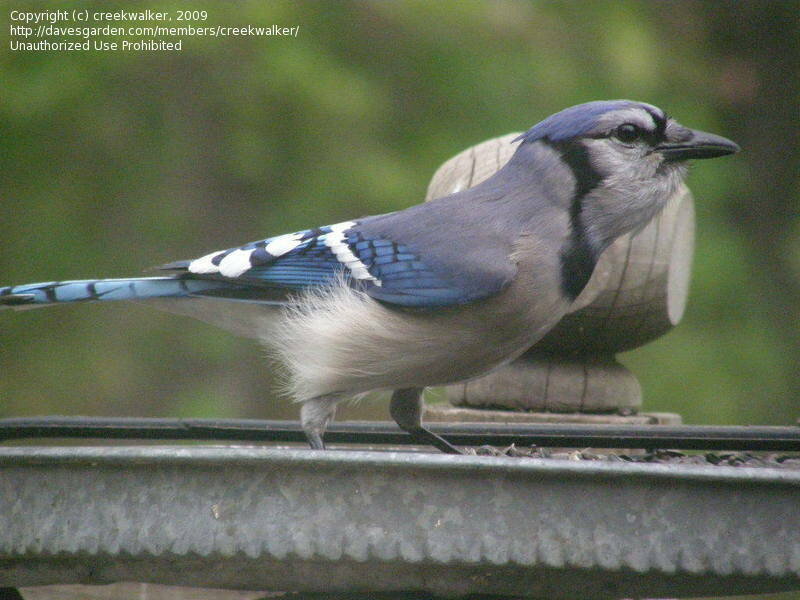 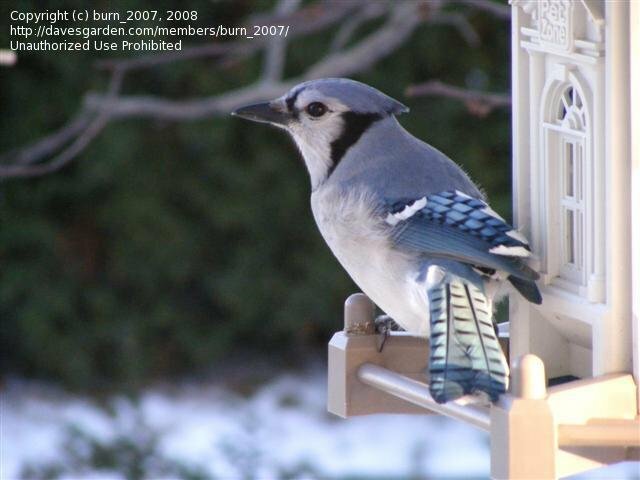 They are attracted to sunflower seeds, and seen them on suet also. 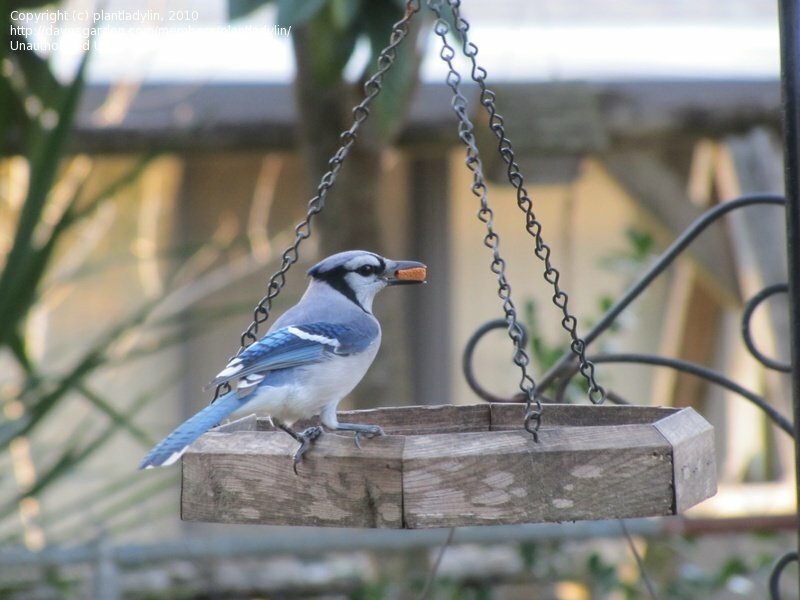 Their favorite food is peanuts. 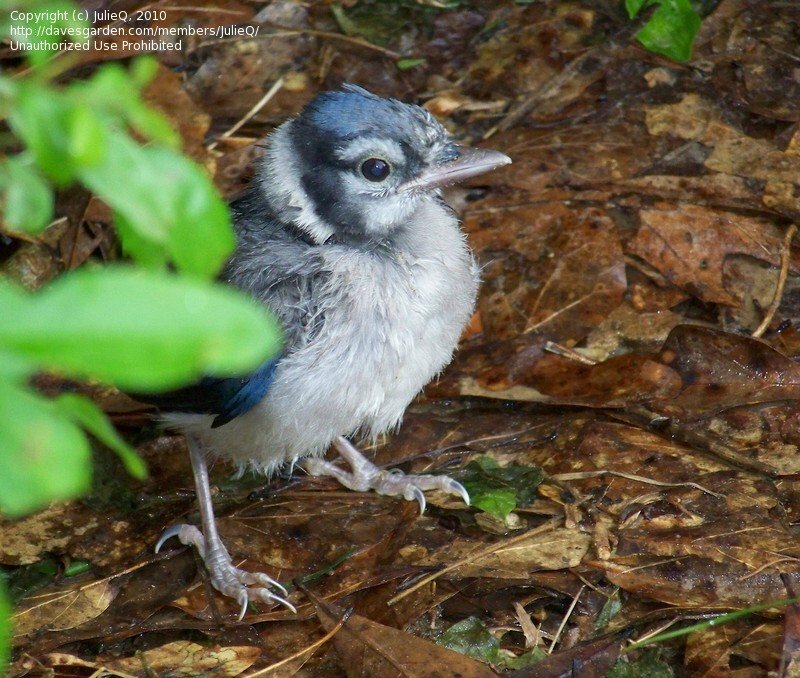 This little one didn't venture far from the nest for quite some time! 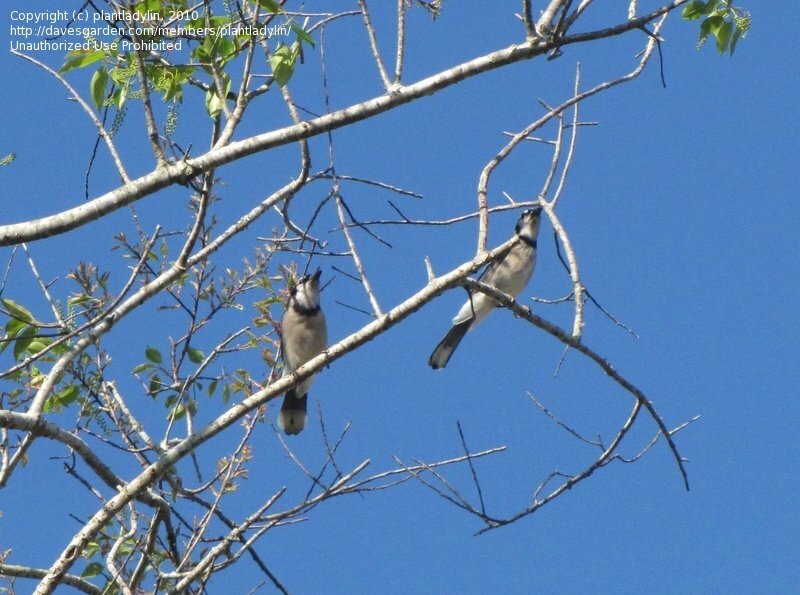 This pair was watching the sky because there was a hawk in the vicinity! 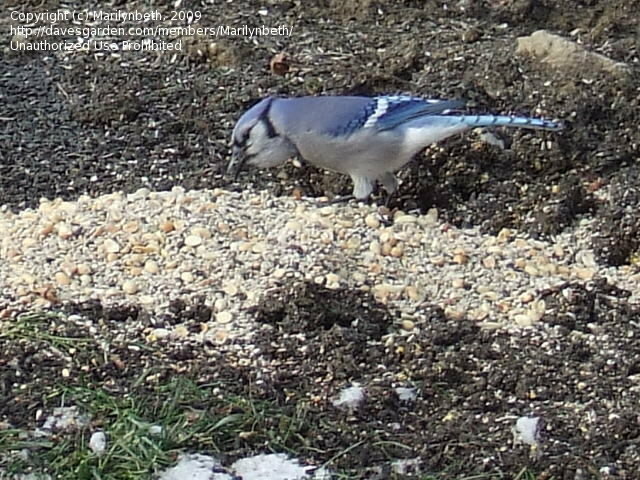 Check out the beak...saw bird deteroiate for about 2 months...then...gone. 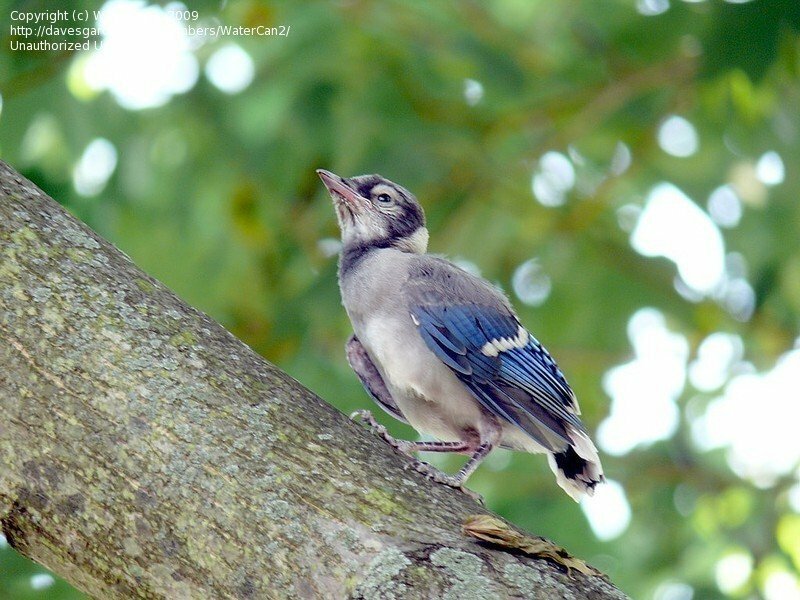 Baby jay in May. 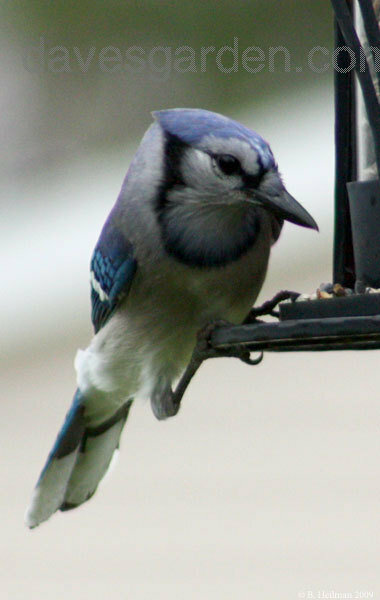 North Alabama. 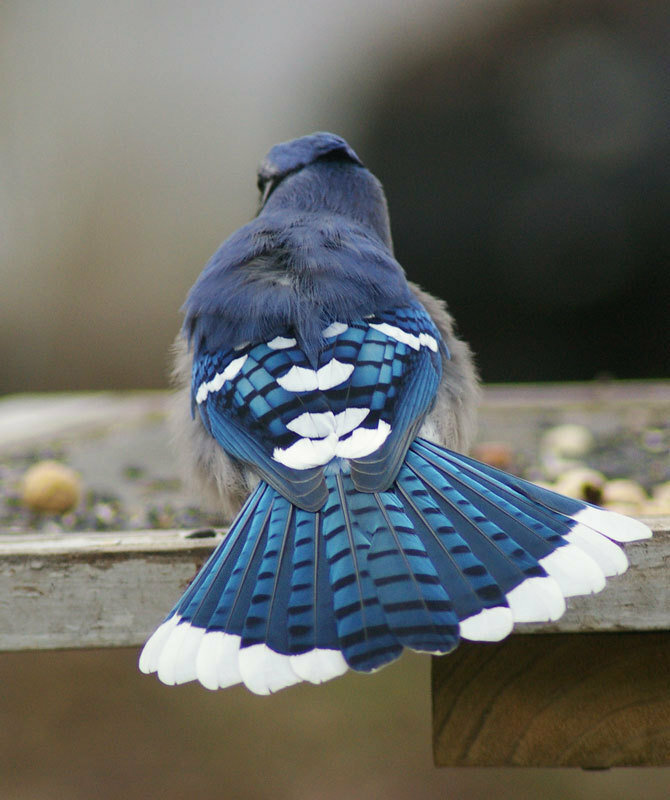 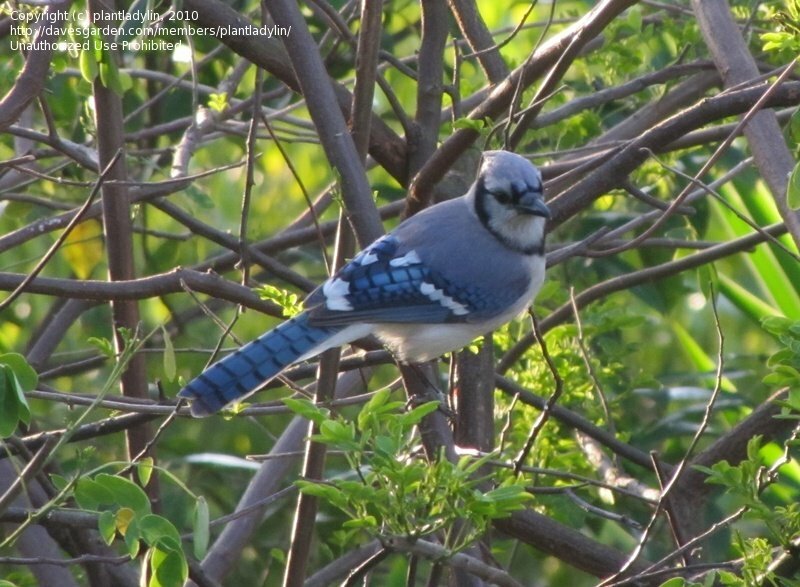 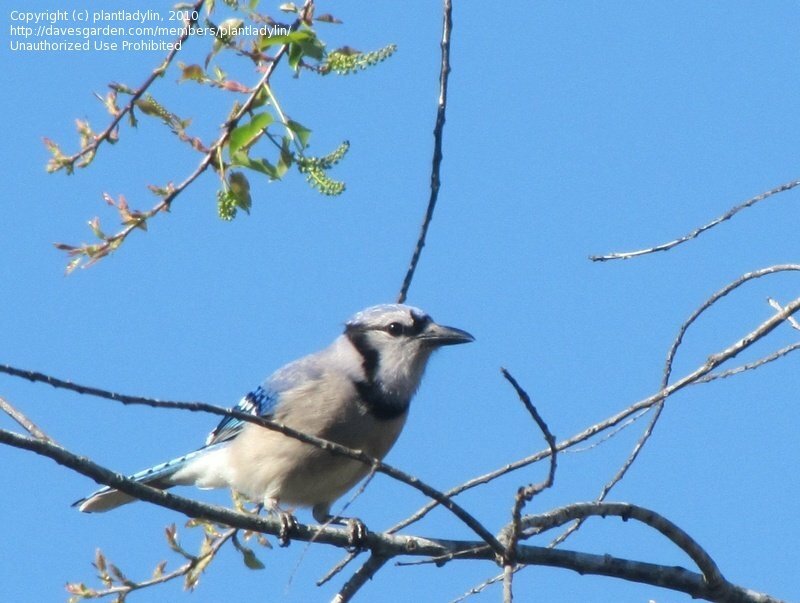 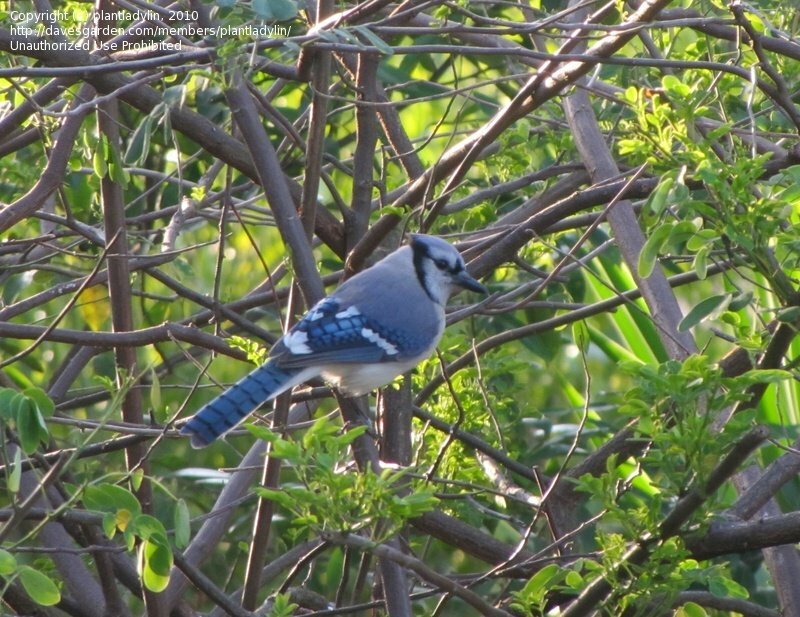 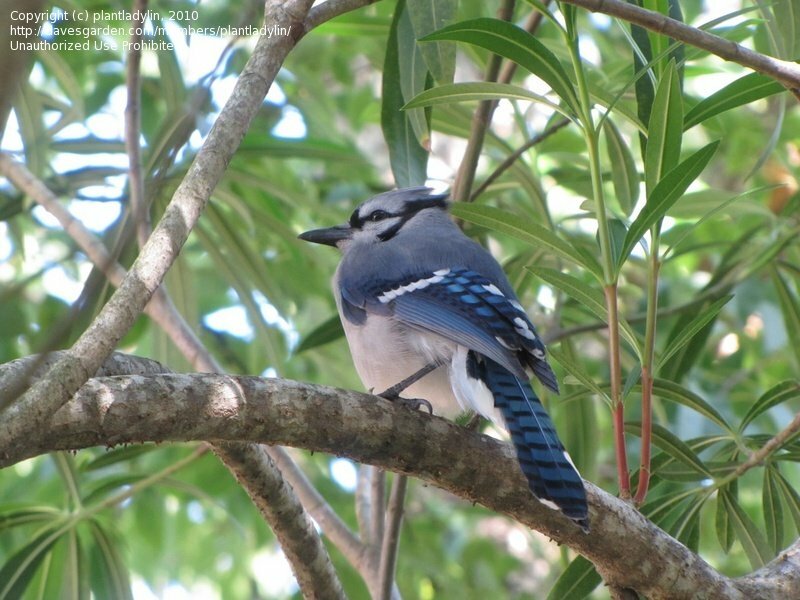 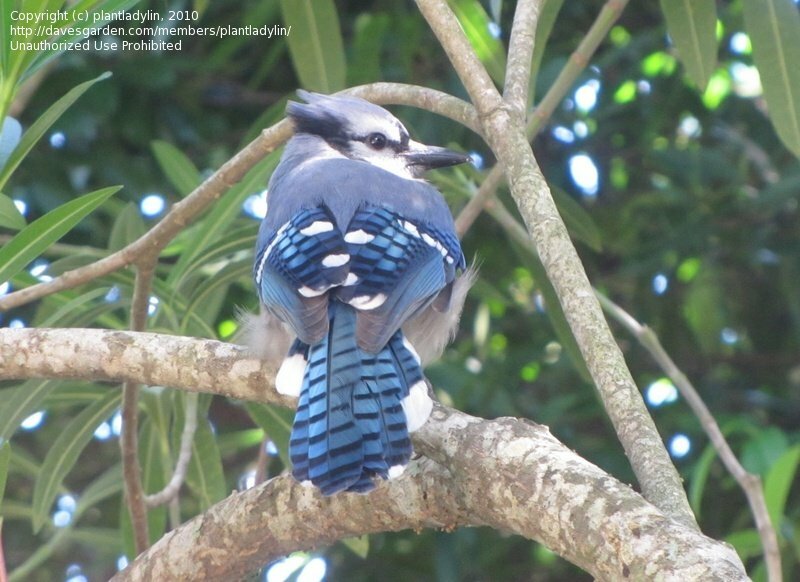 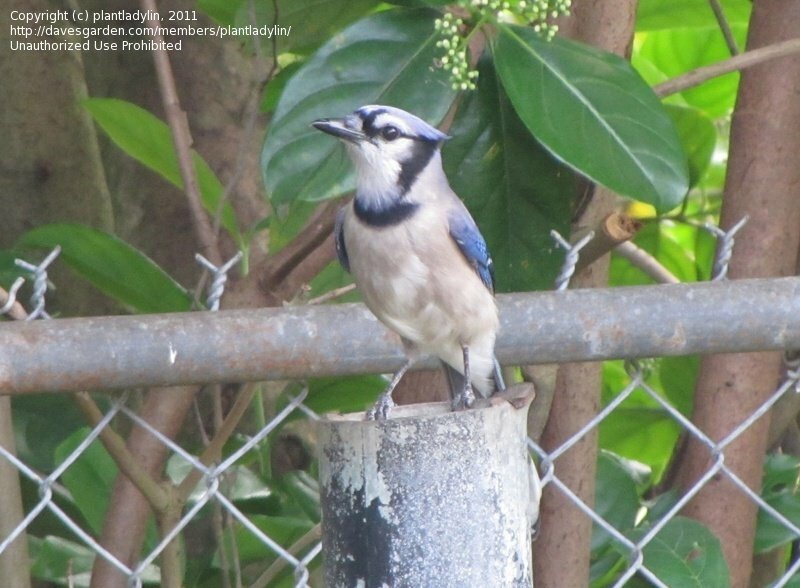 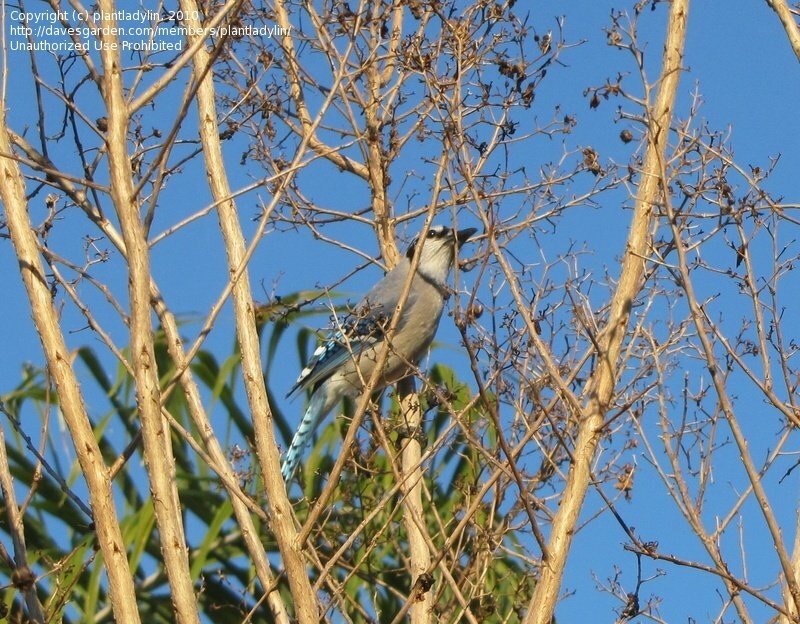 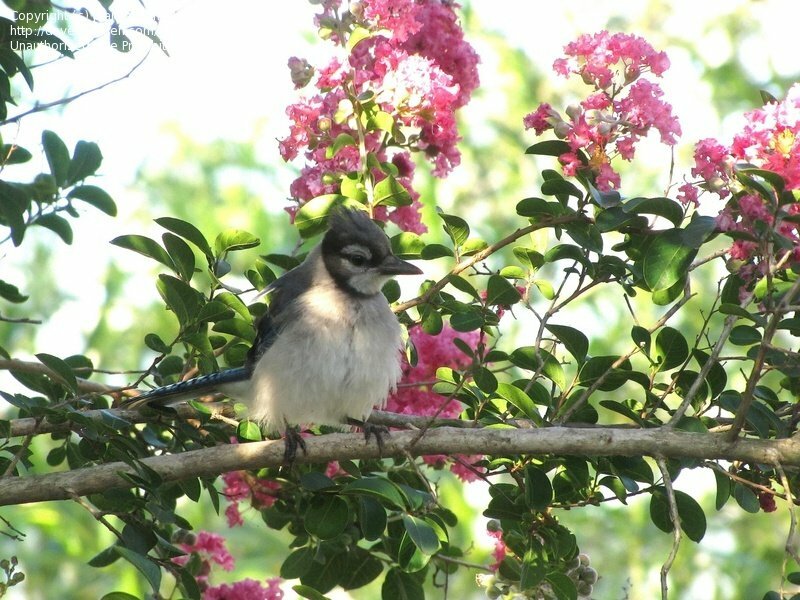 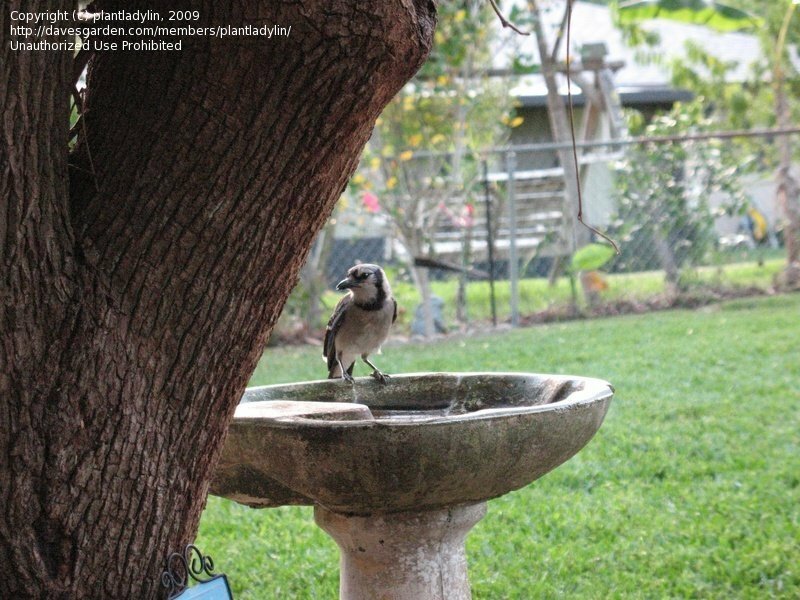 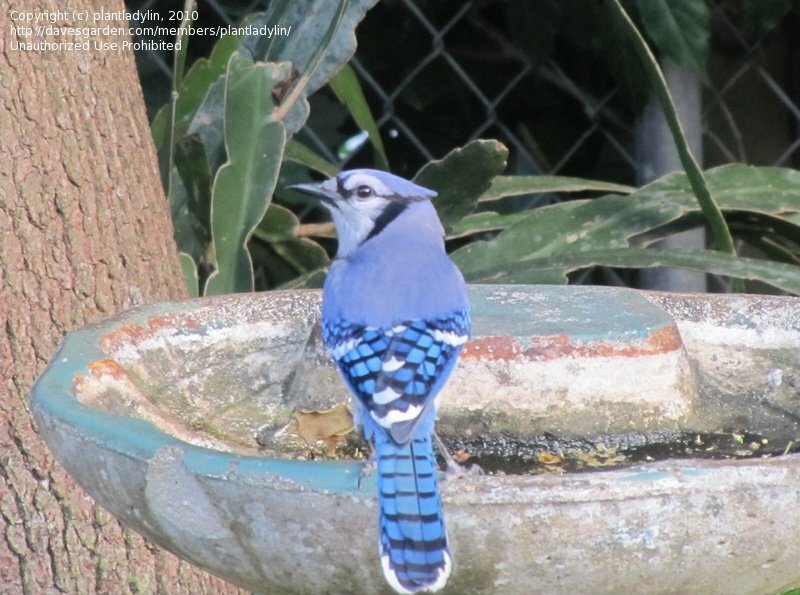 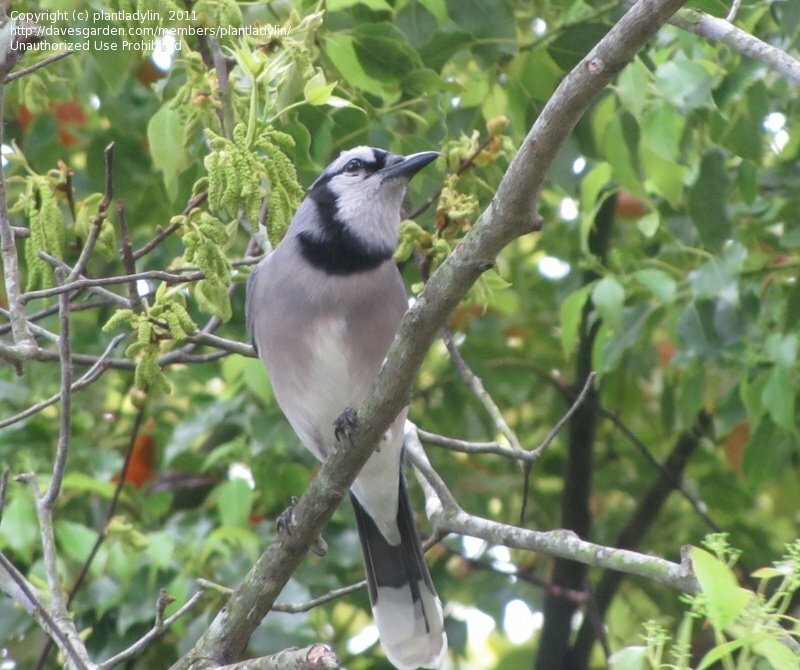 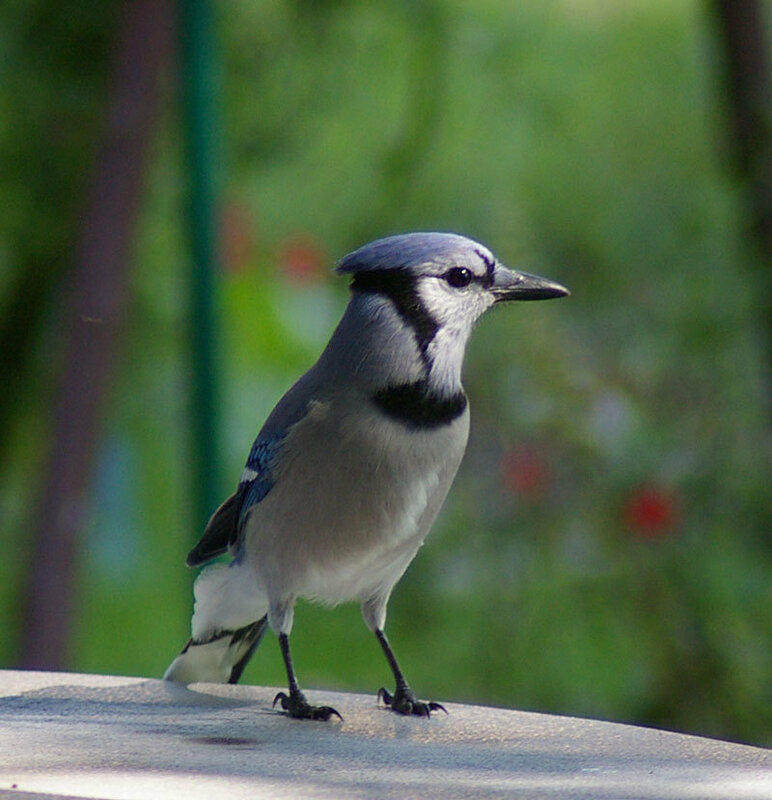 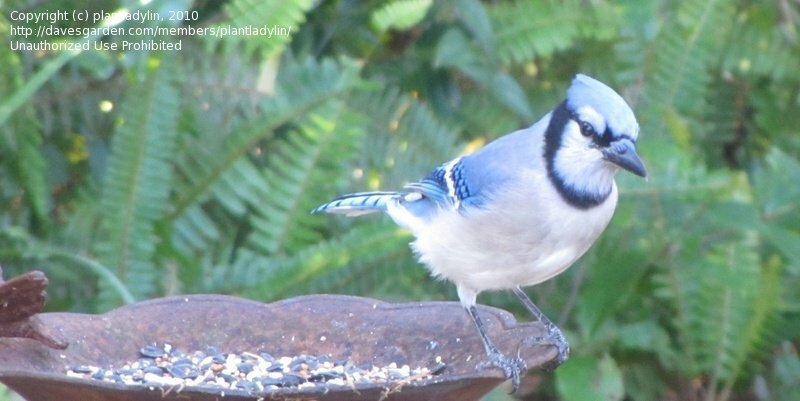 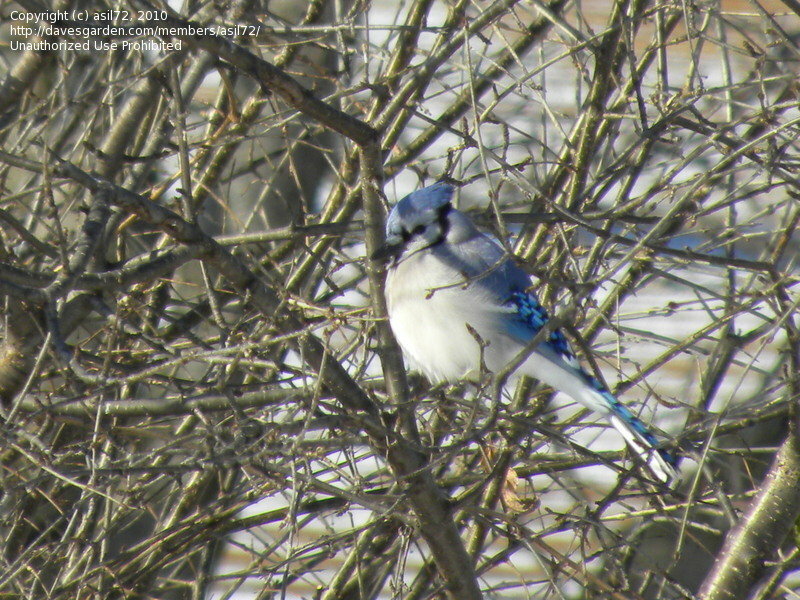 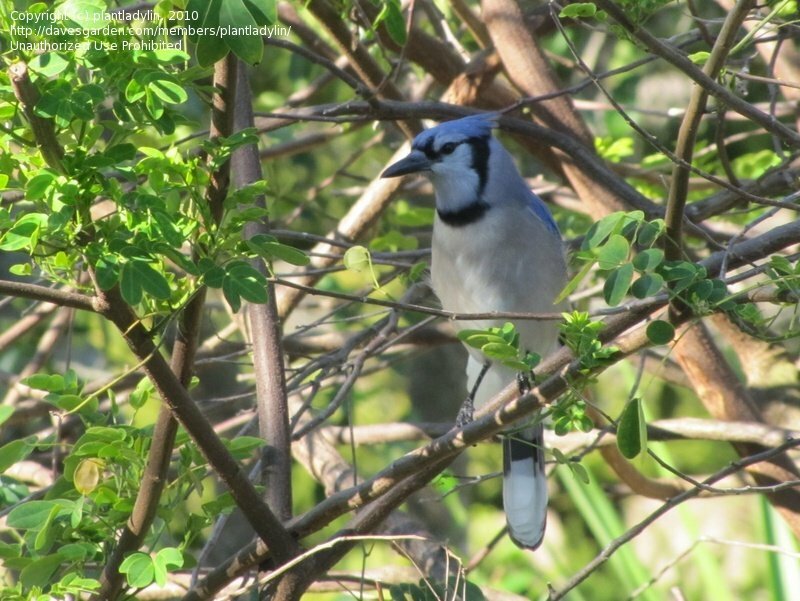 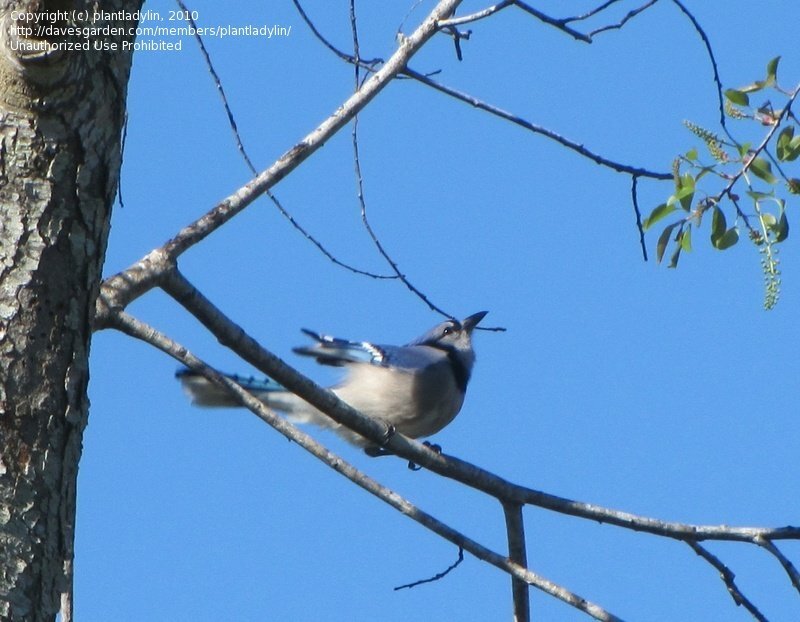 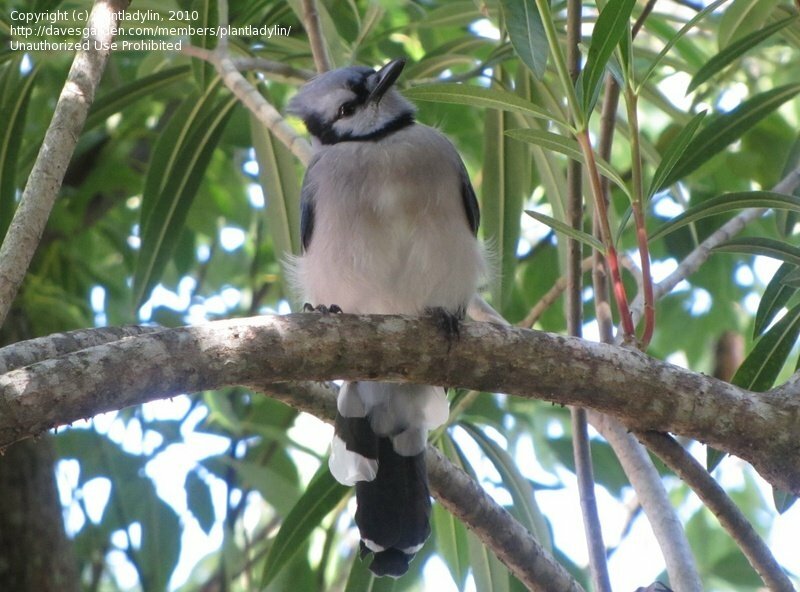 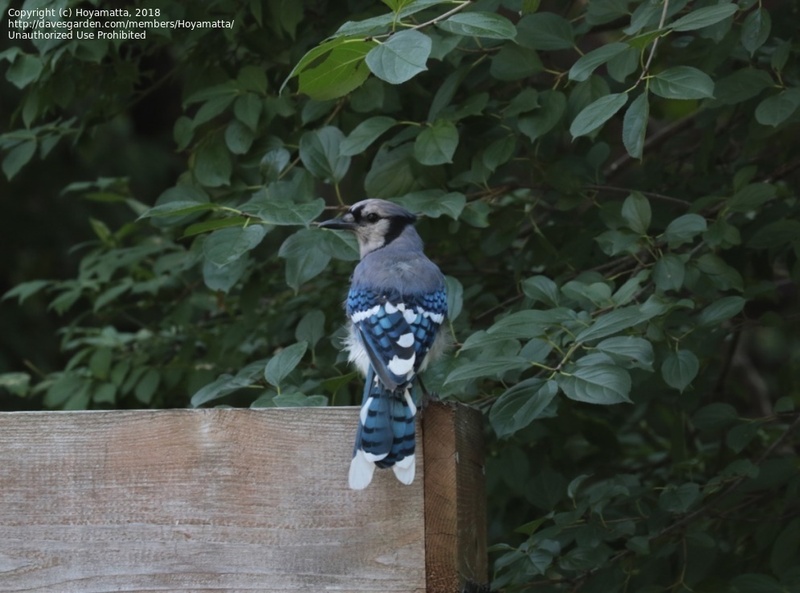 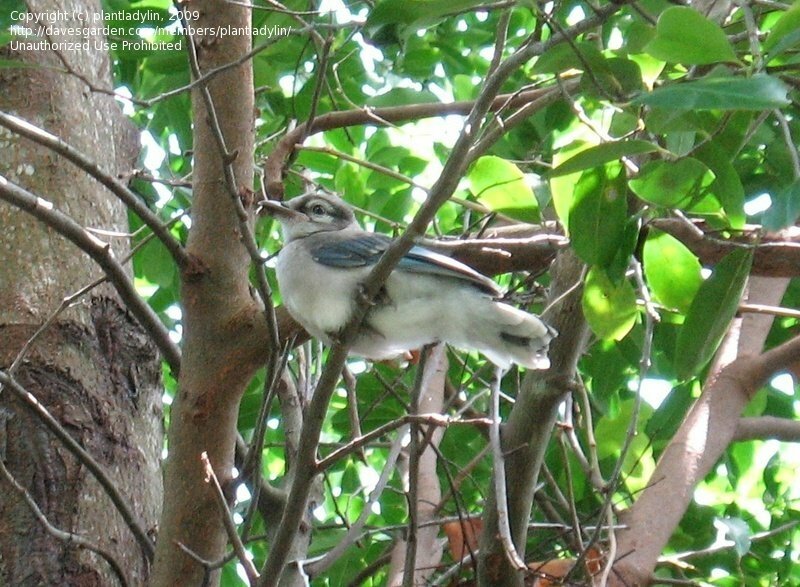 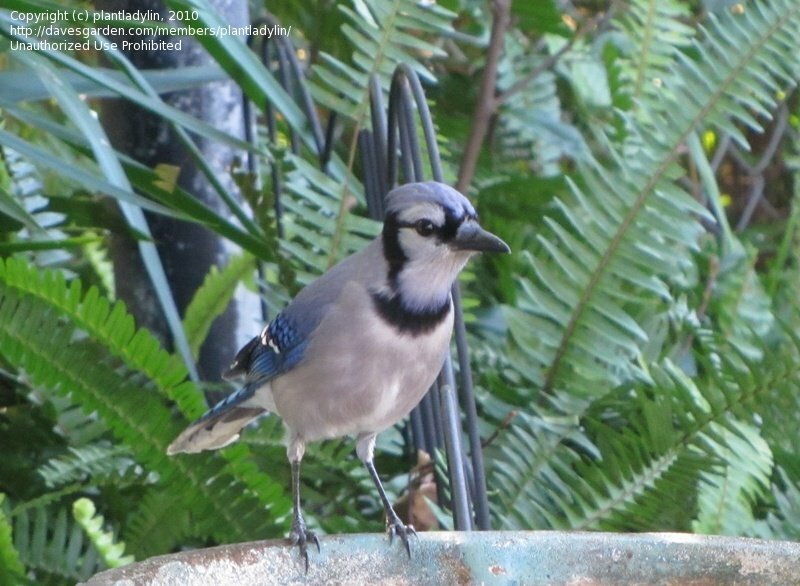 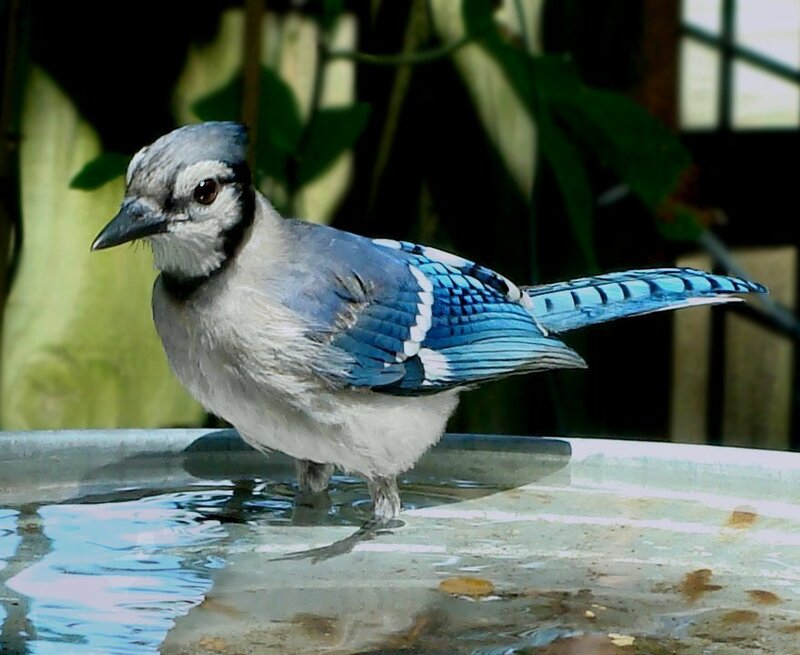 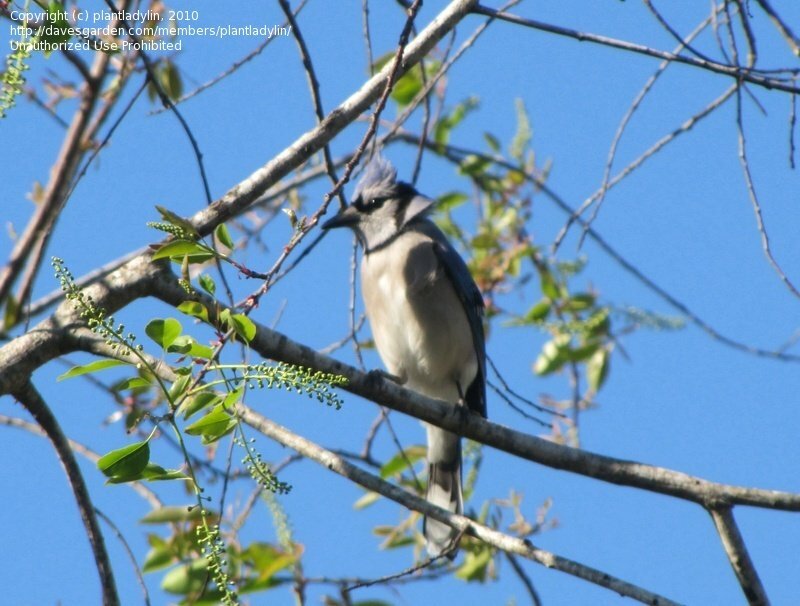 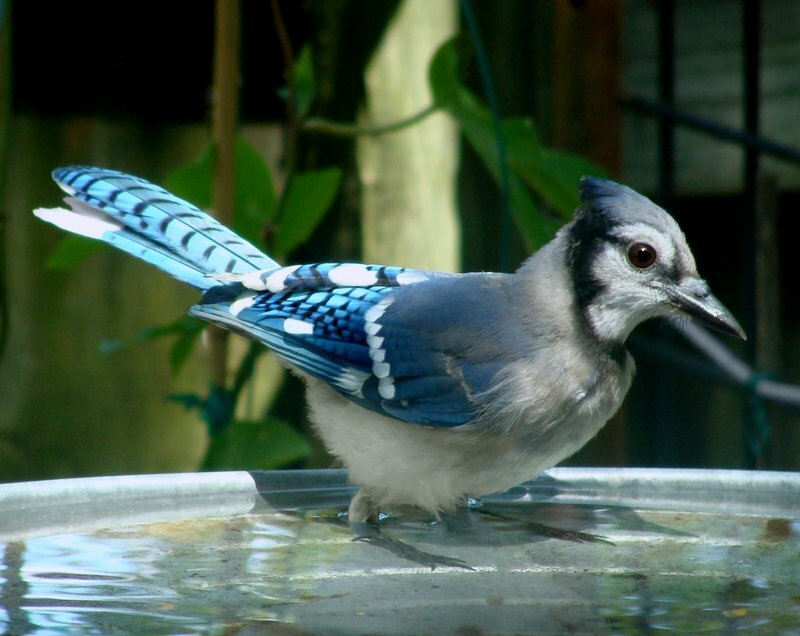 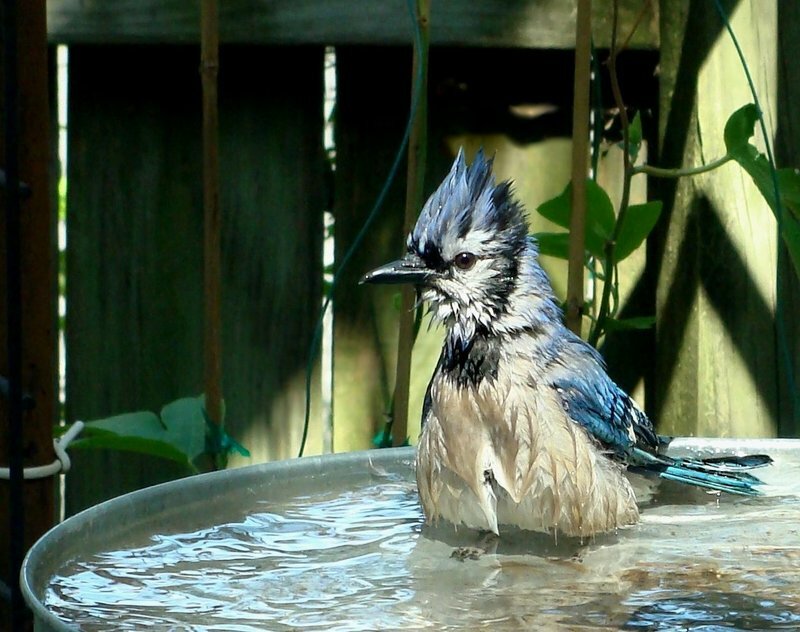 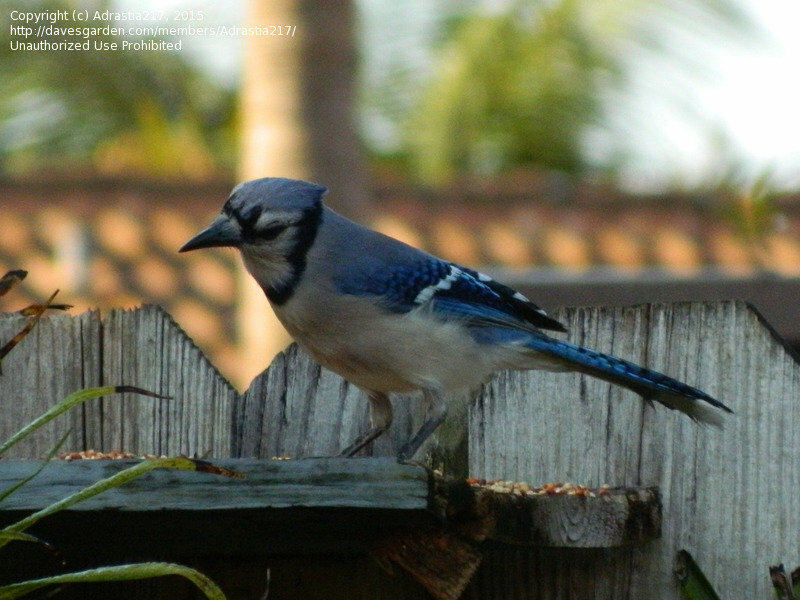 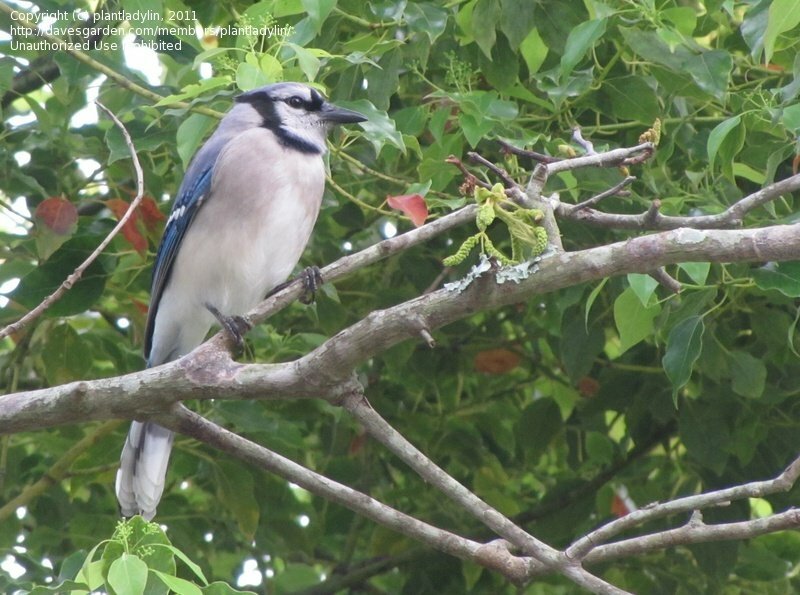 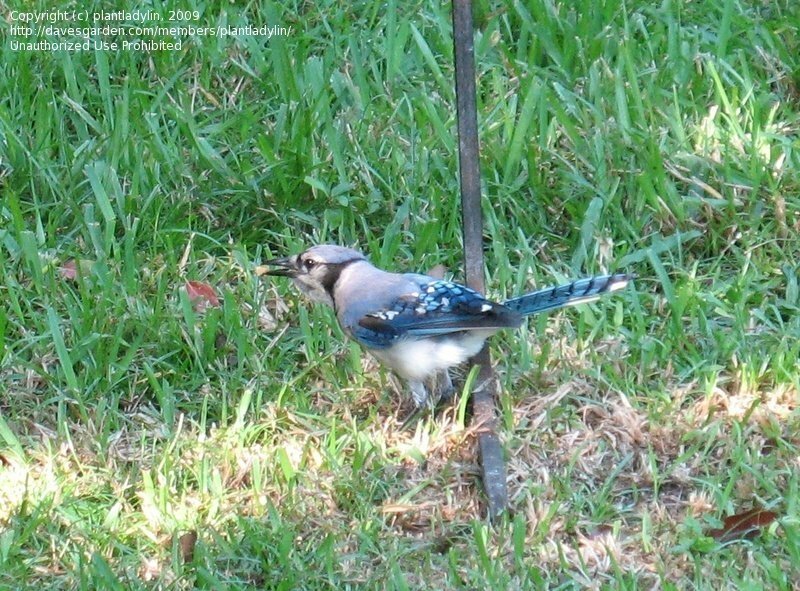 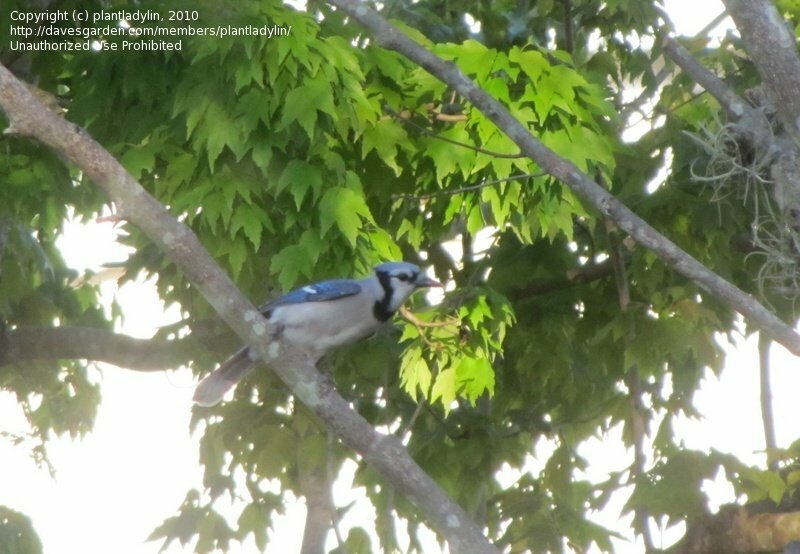 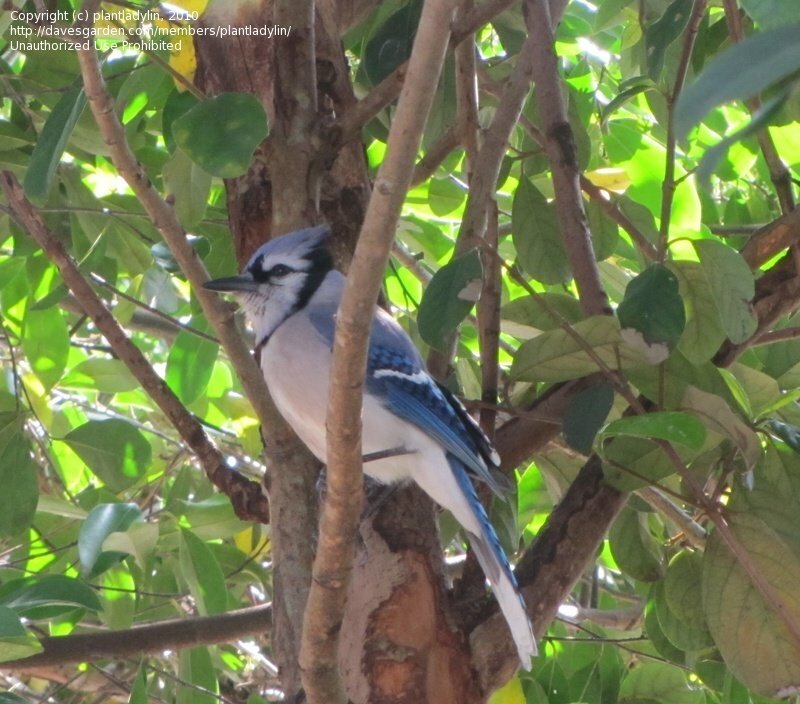 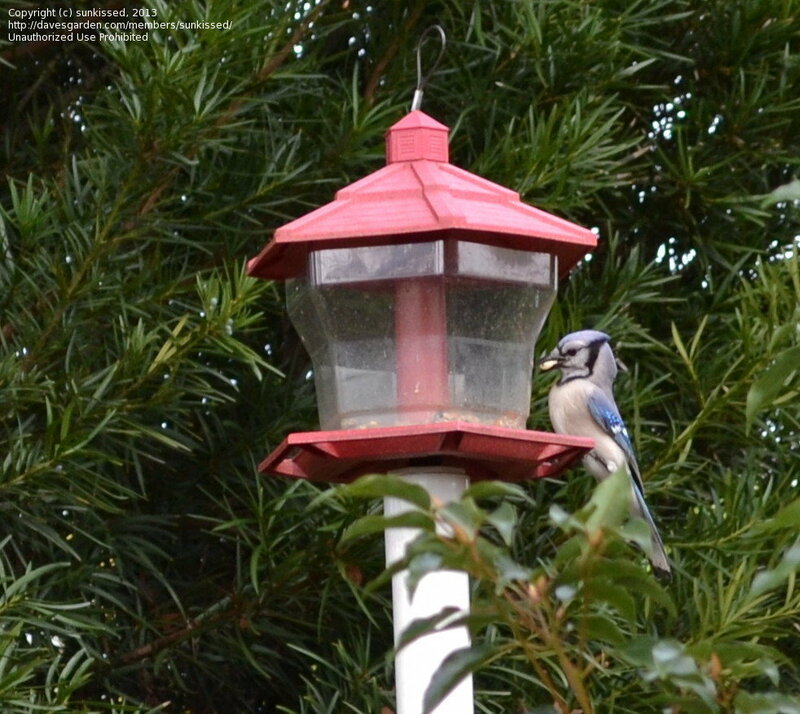 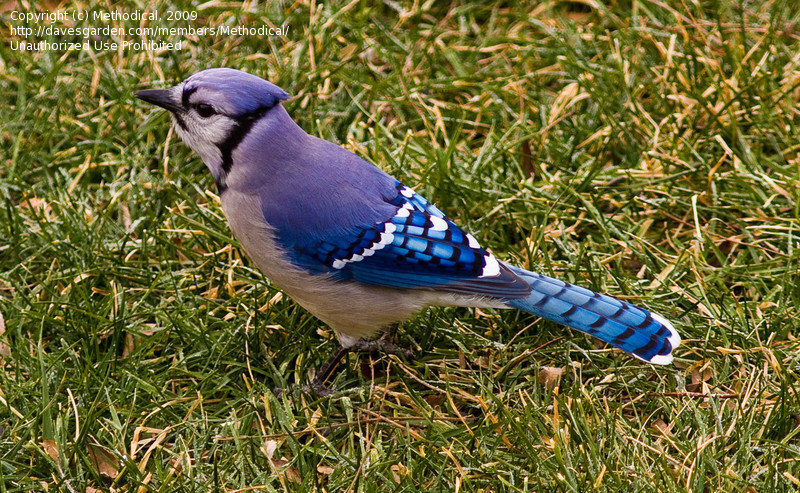 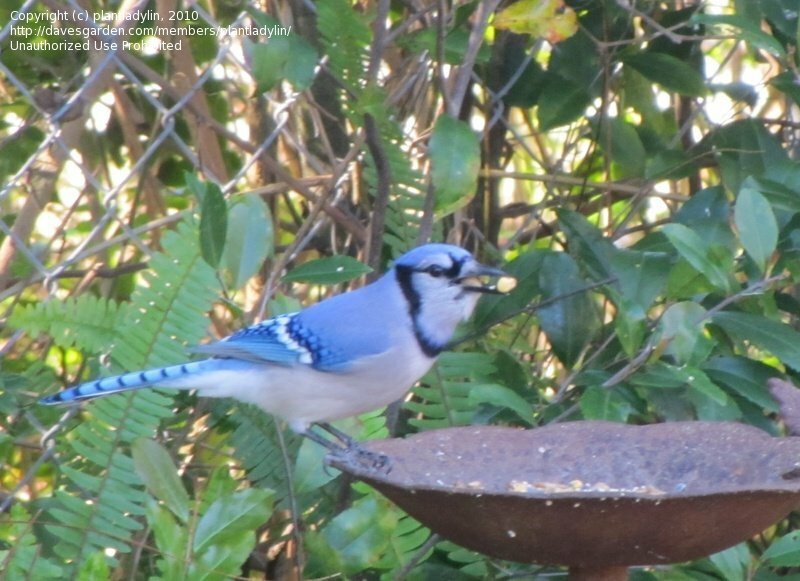 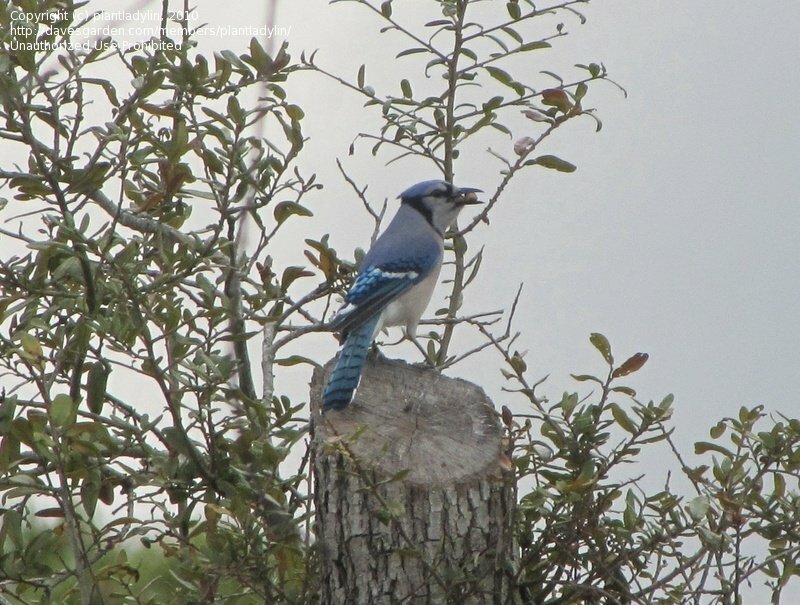 This georgous Jay is one of 3 daily visitors to our yard. 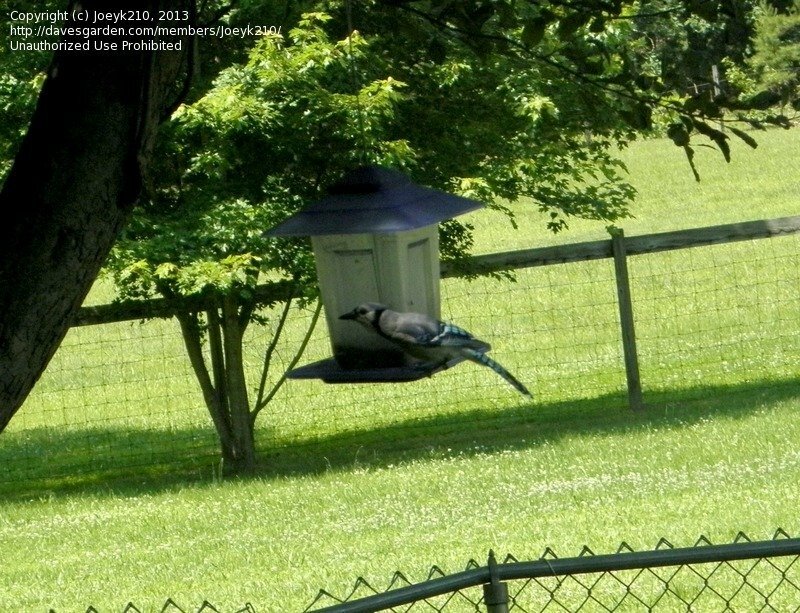 They love to dive bomb for peanuts and snack on cracked corn.